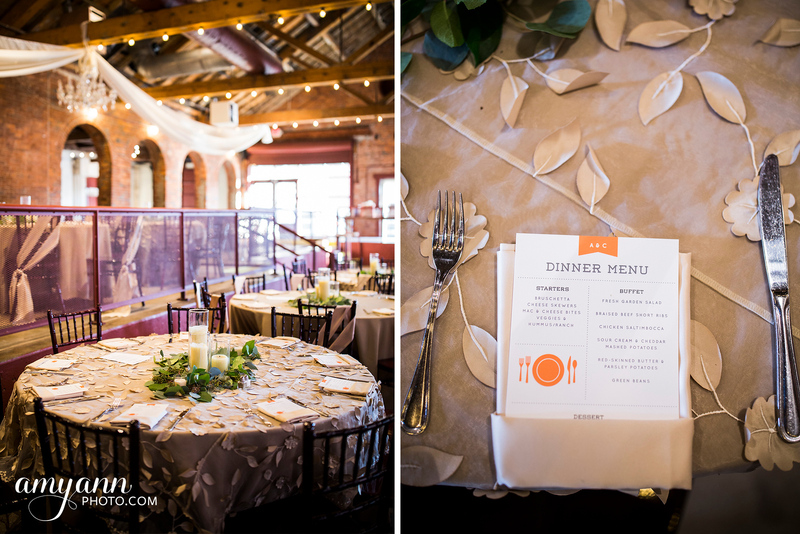 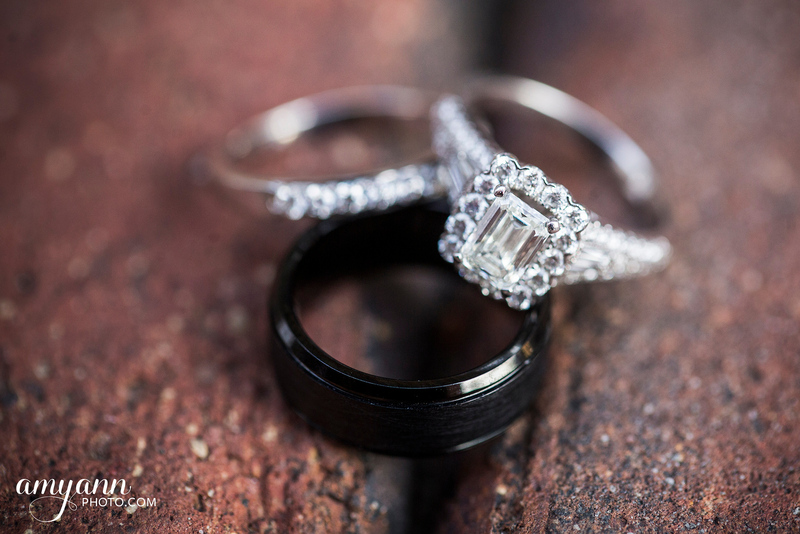 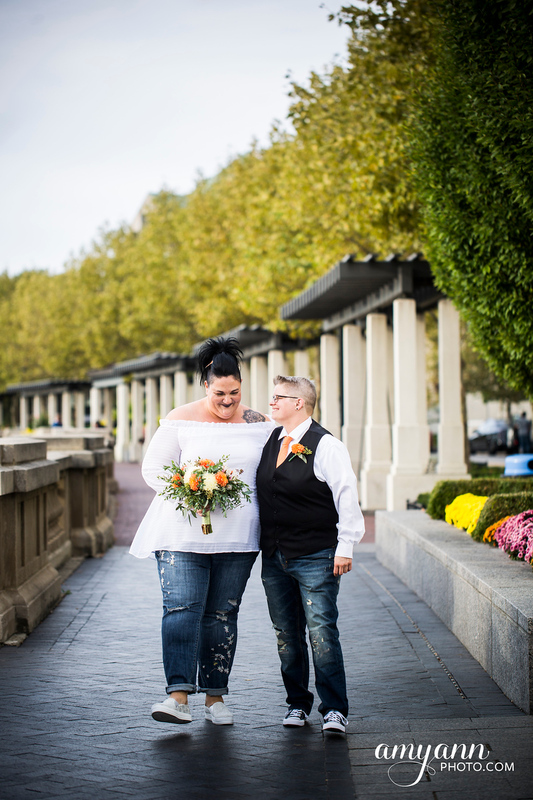 Andrea + Crystal’s fall wedding was a sweet and laid-back affair in every way! 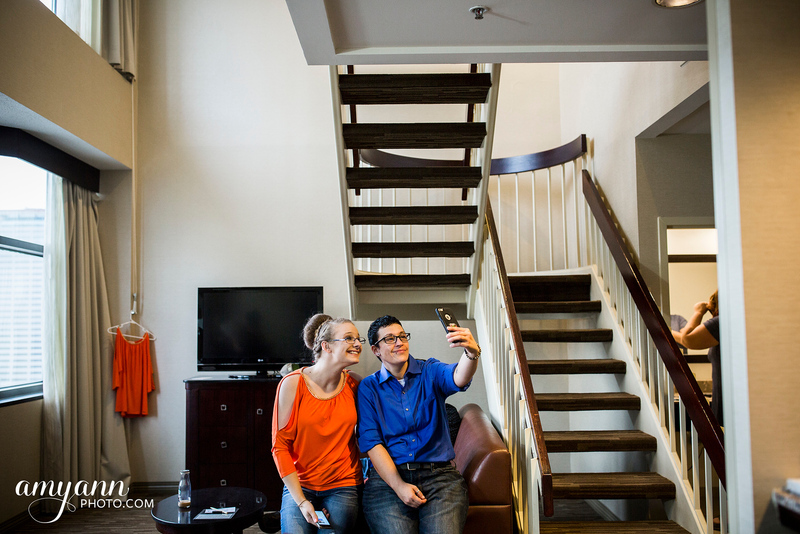 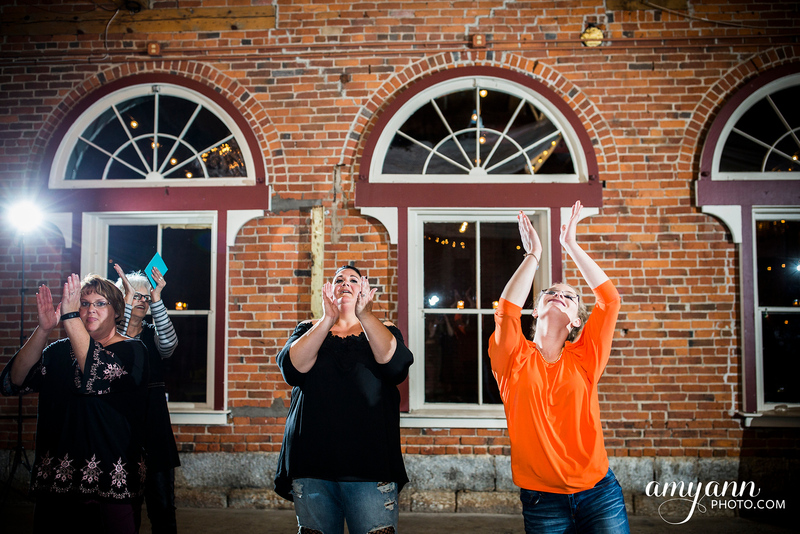 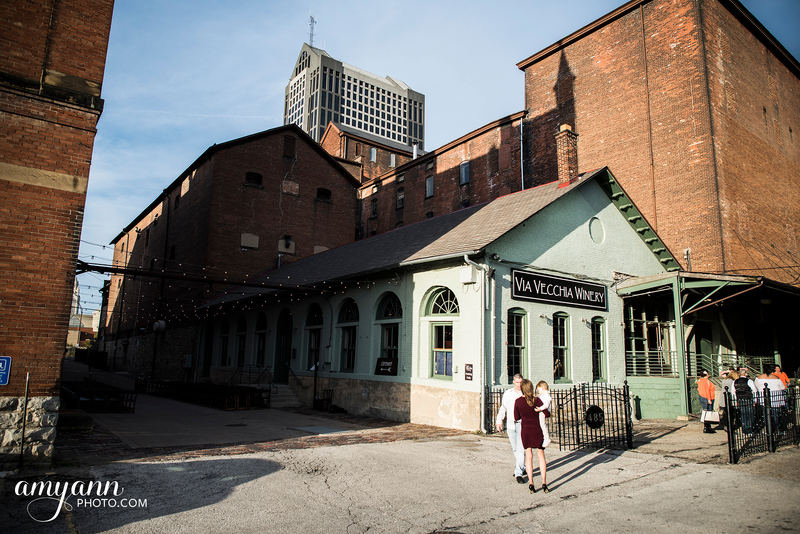 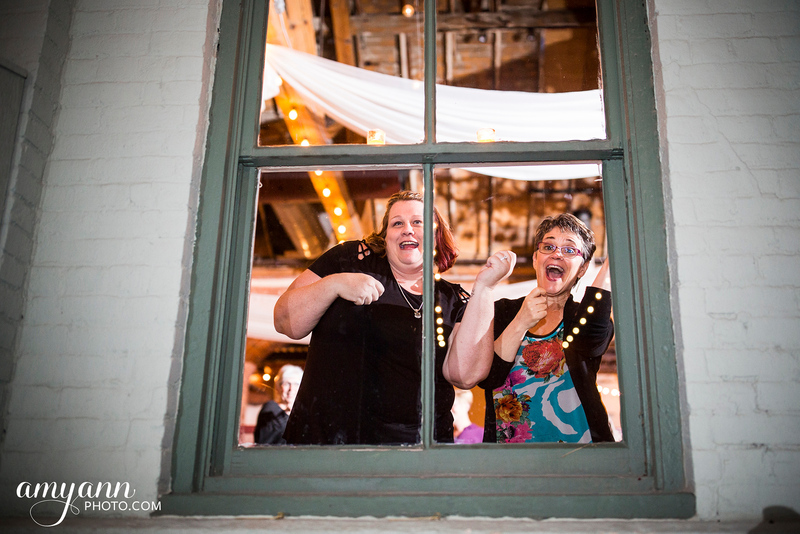 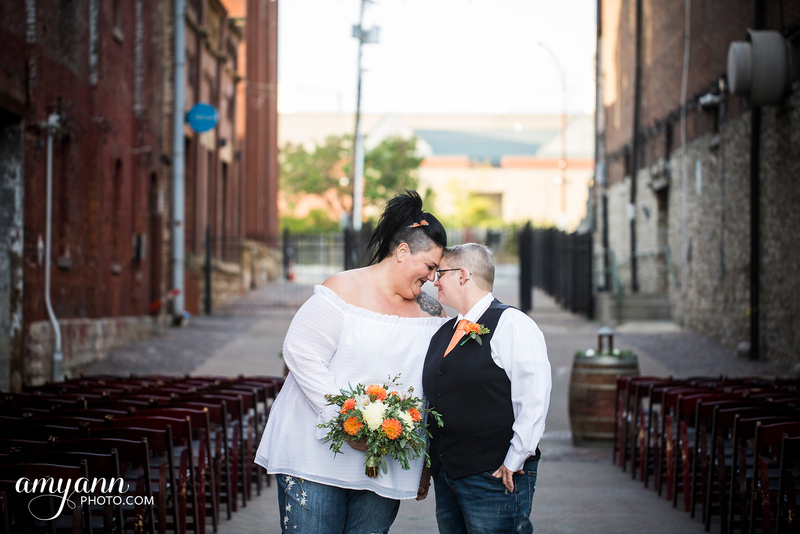 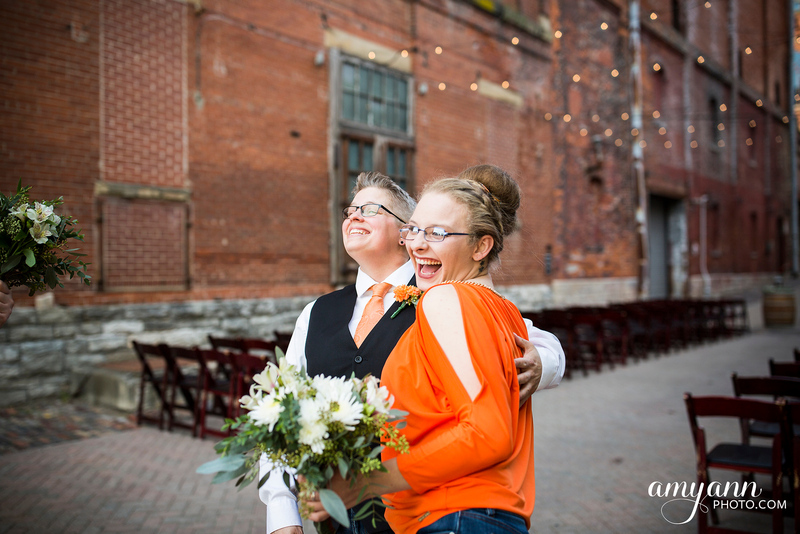 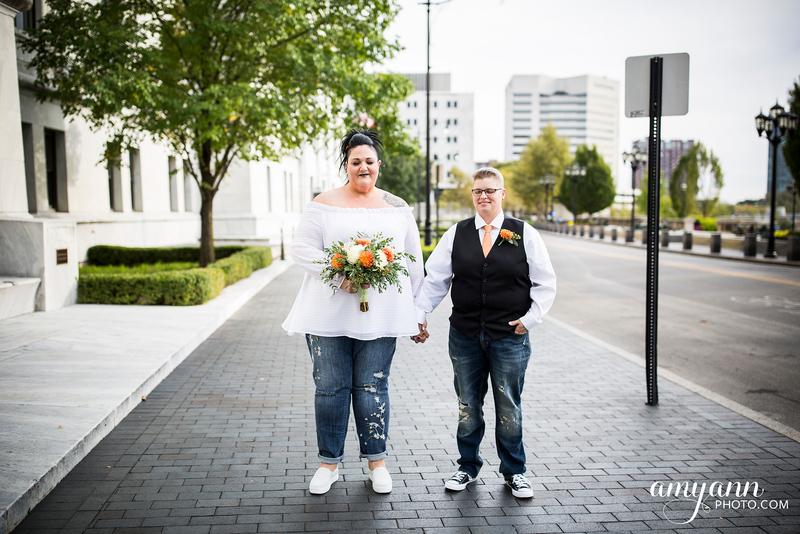 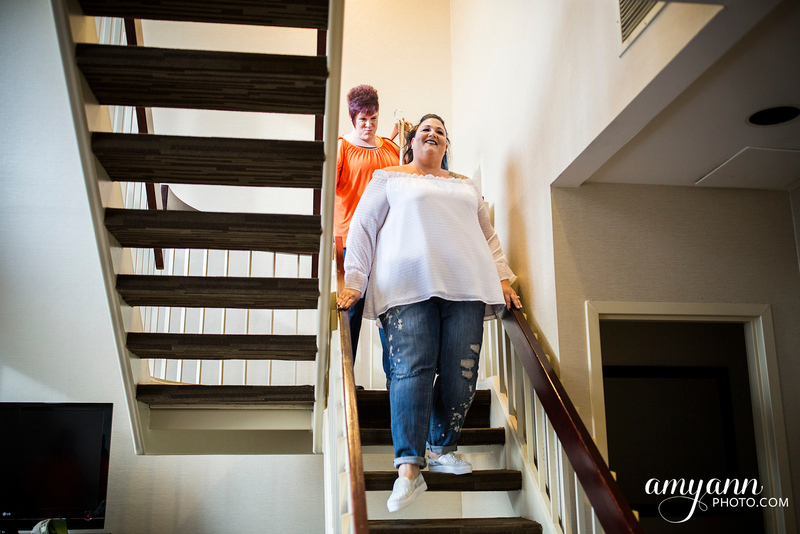 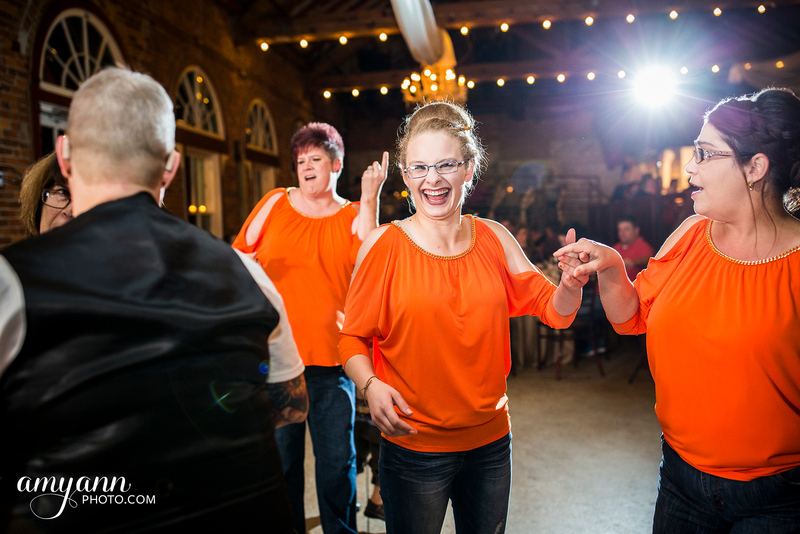 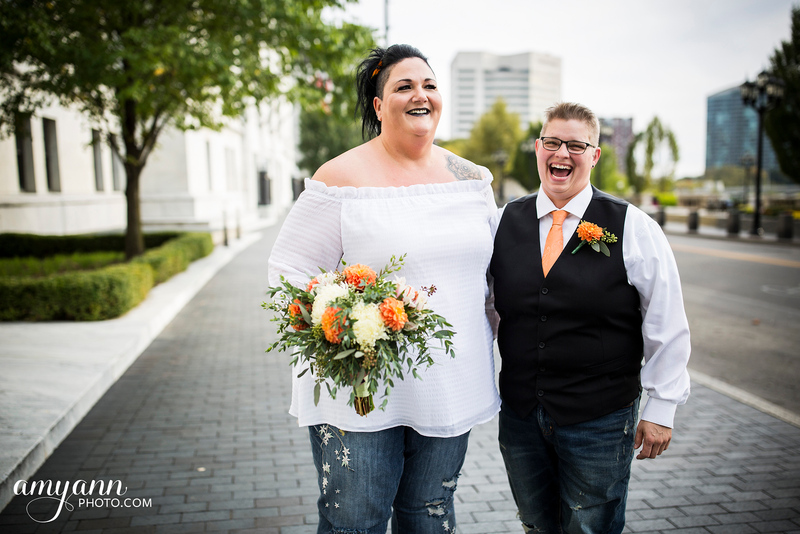 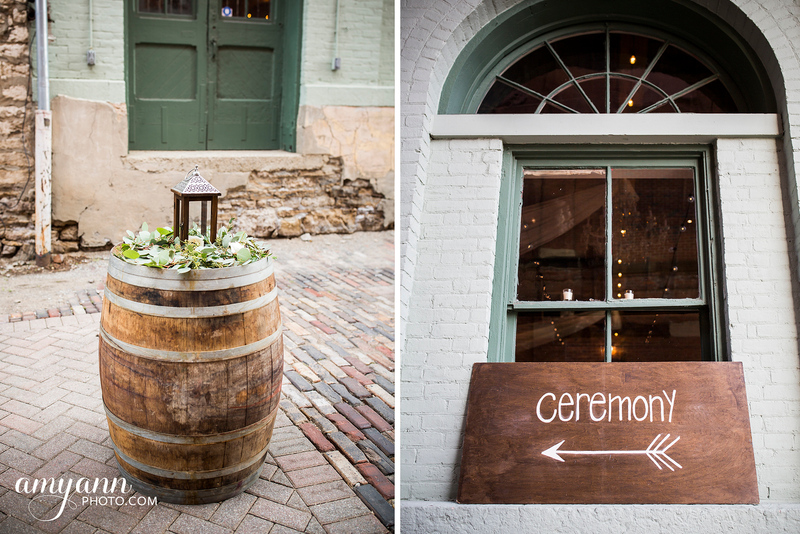 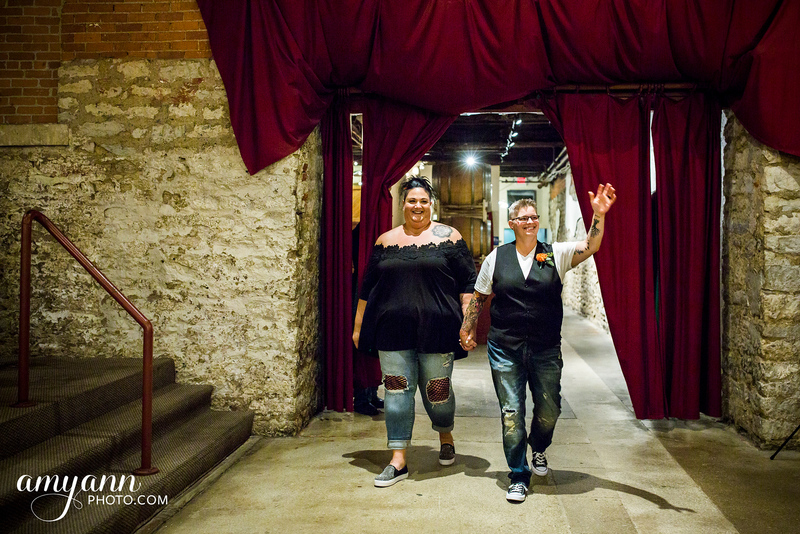 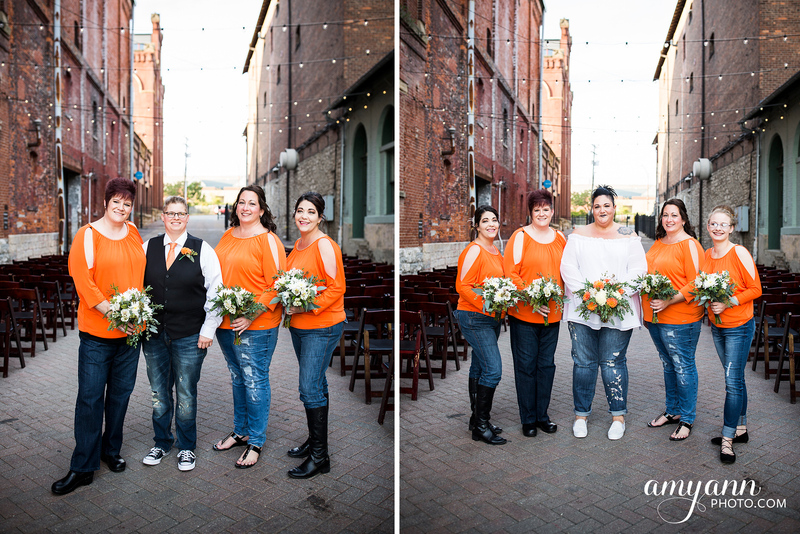 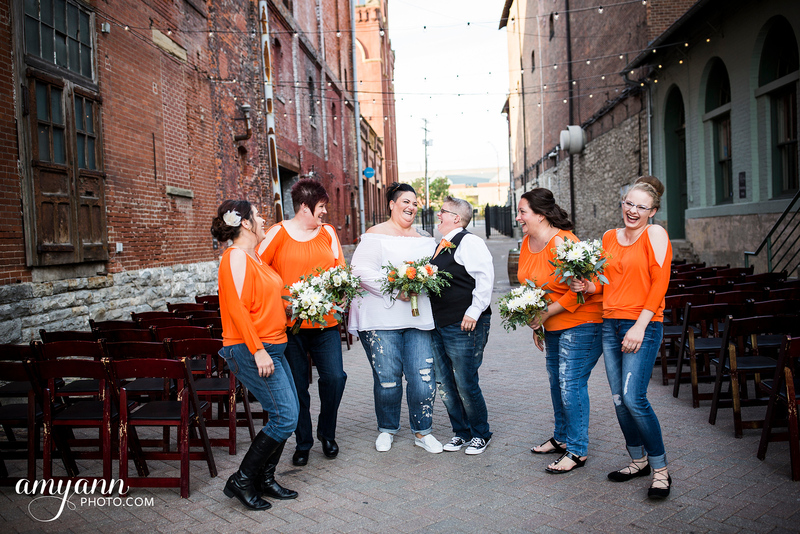 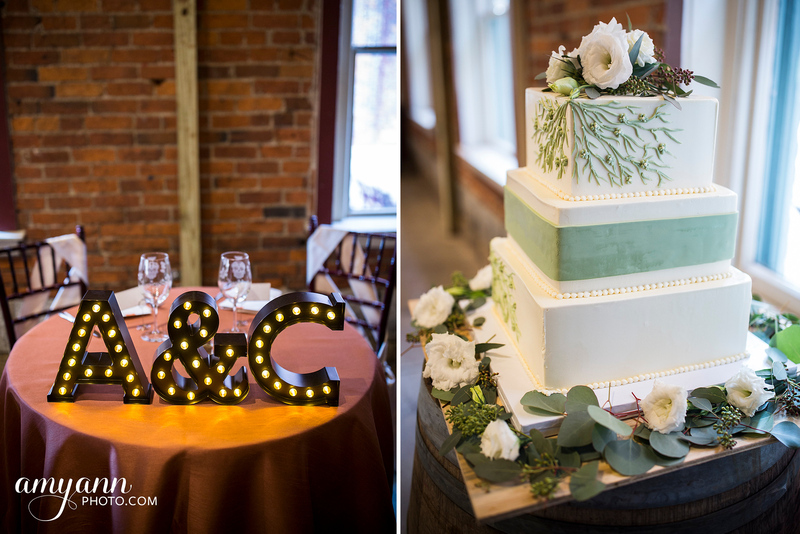 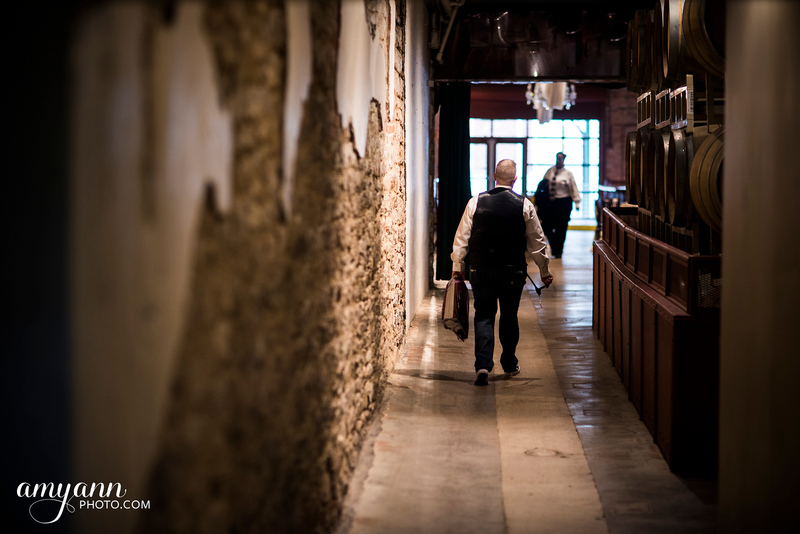 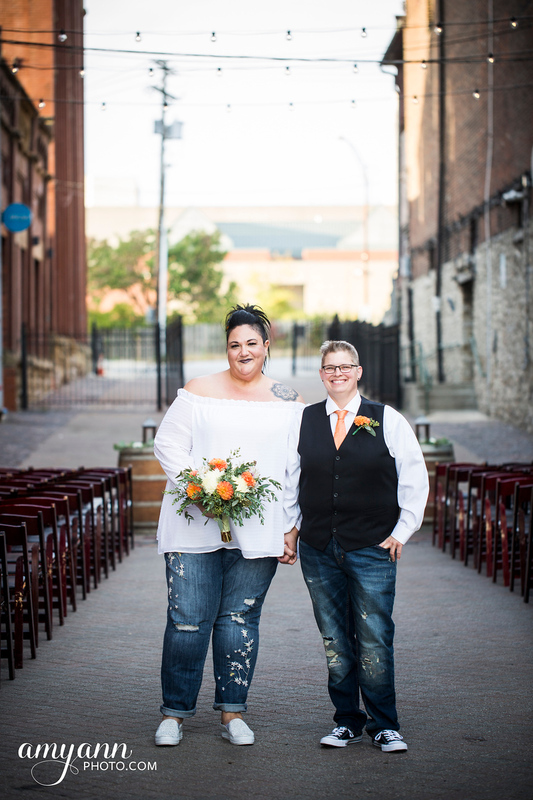 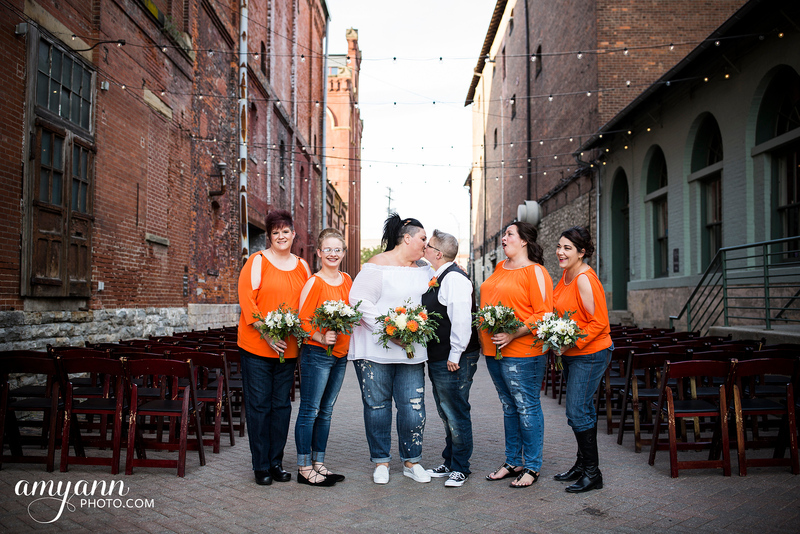 Their downtown locations were fun and interesting, and their attire was as comfy as possible – both brides wore jeans! 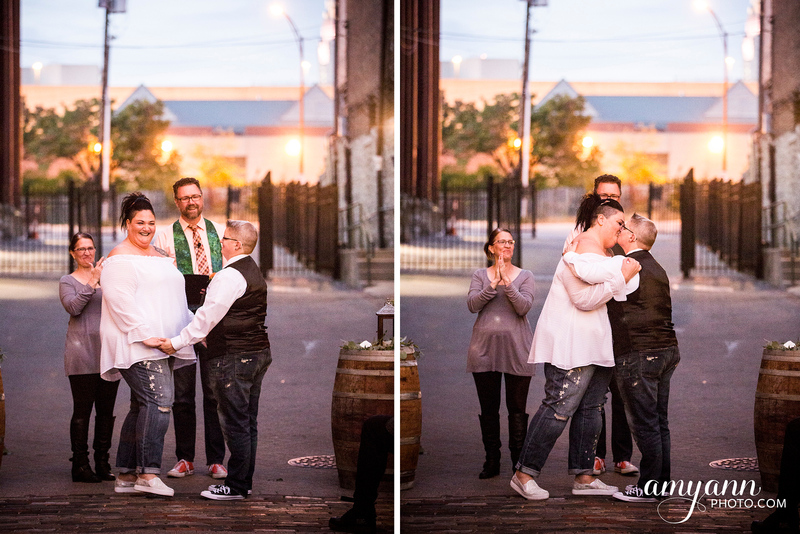 I thought that was truly awesome. 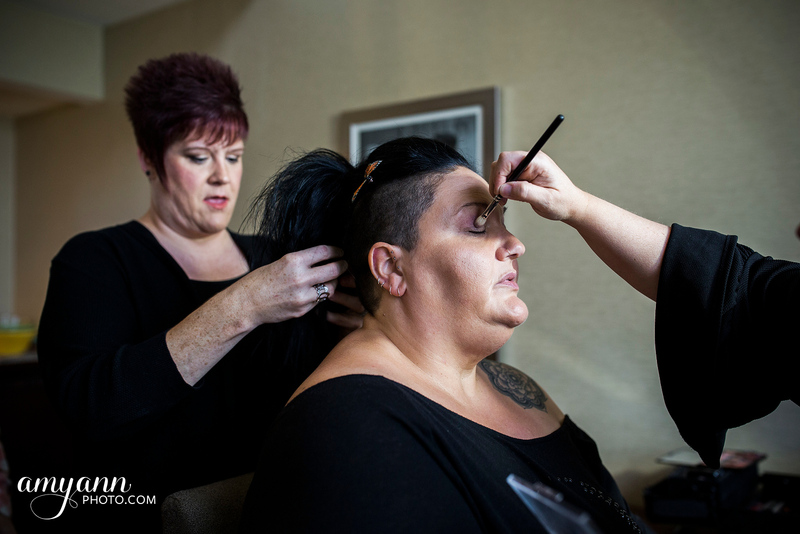 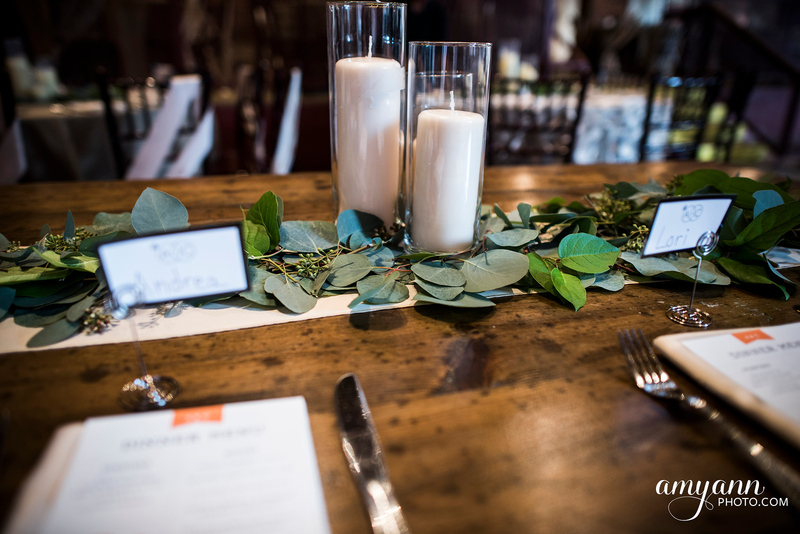 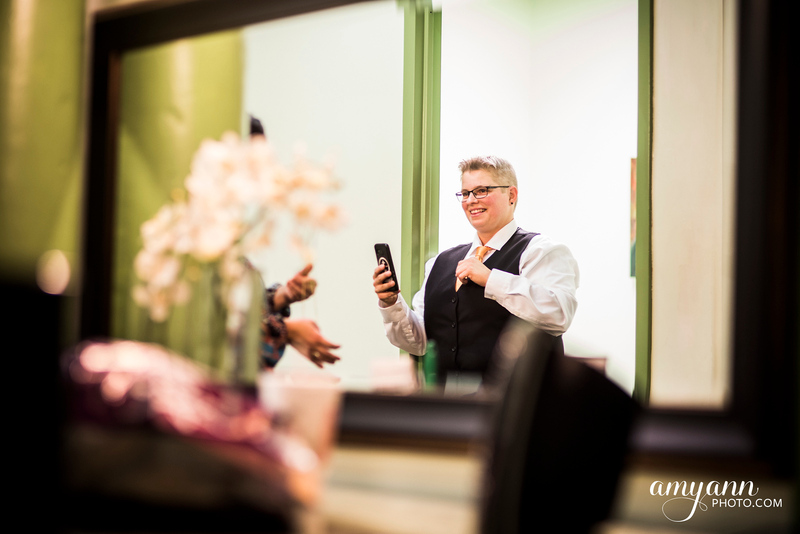 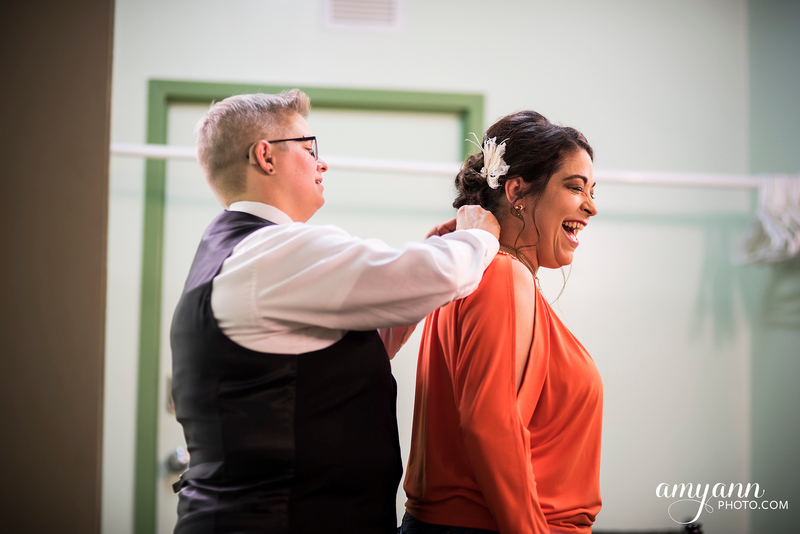 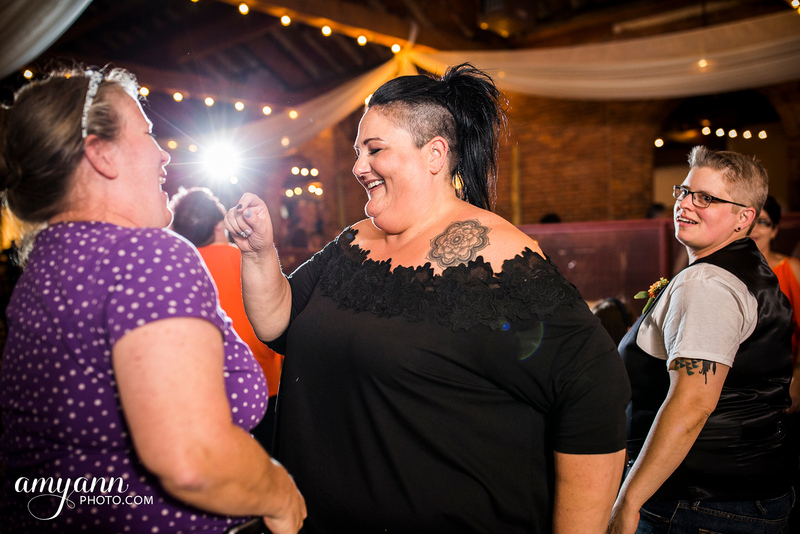 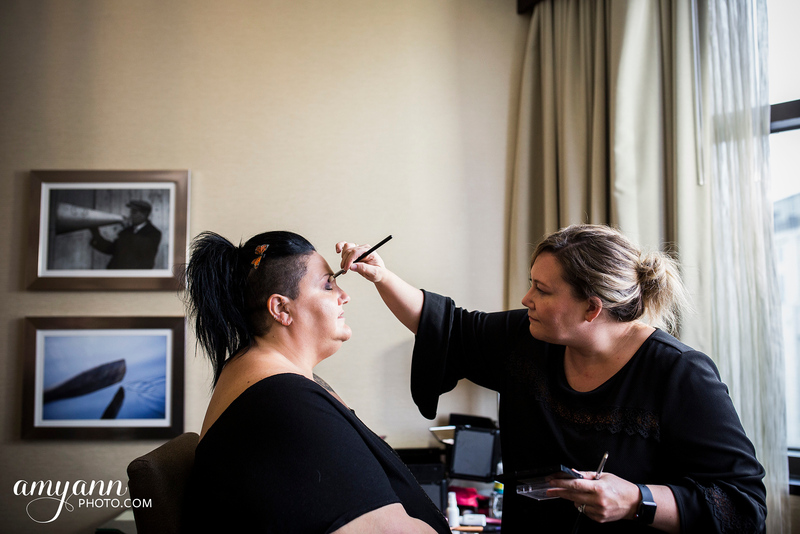 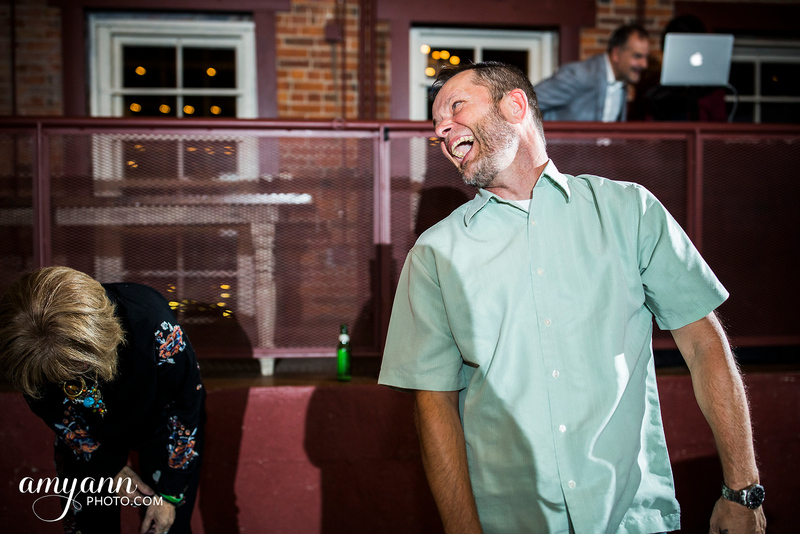 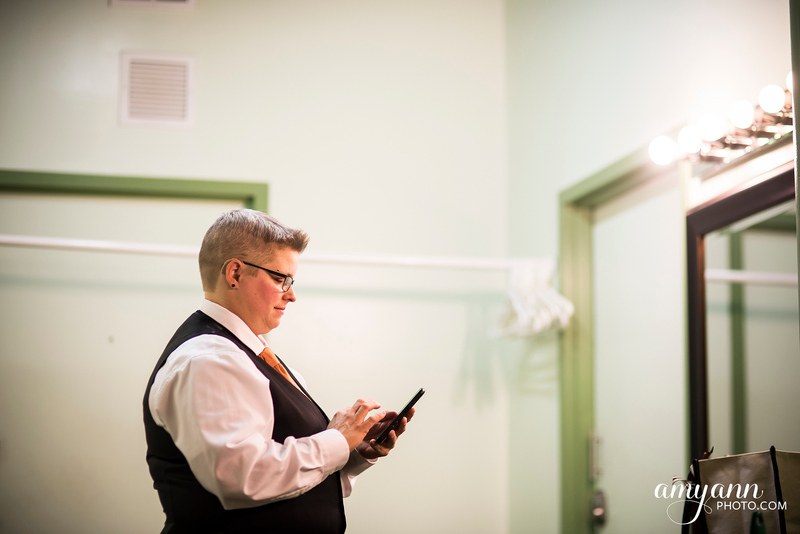 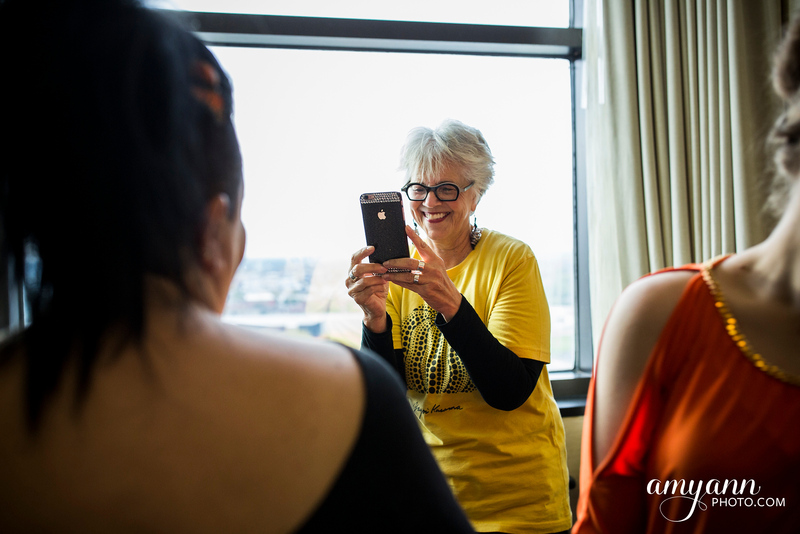 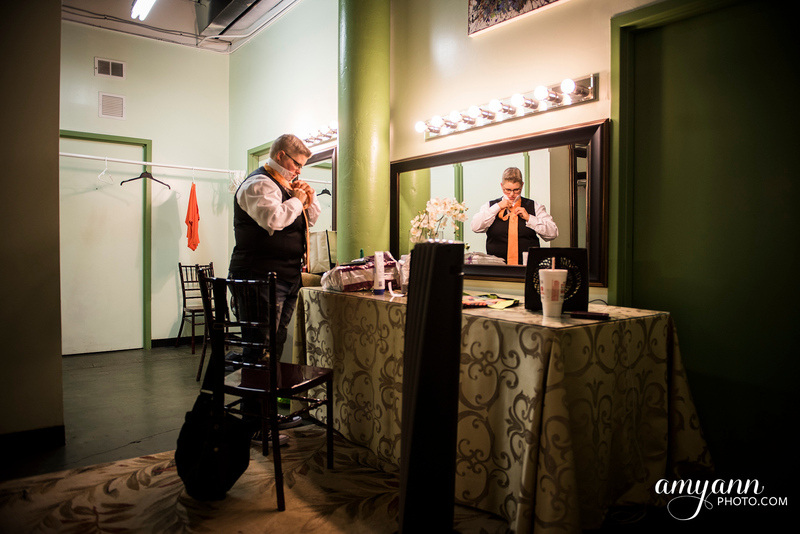 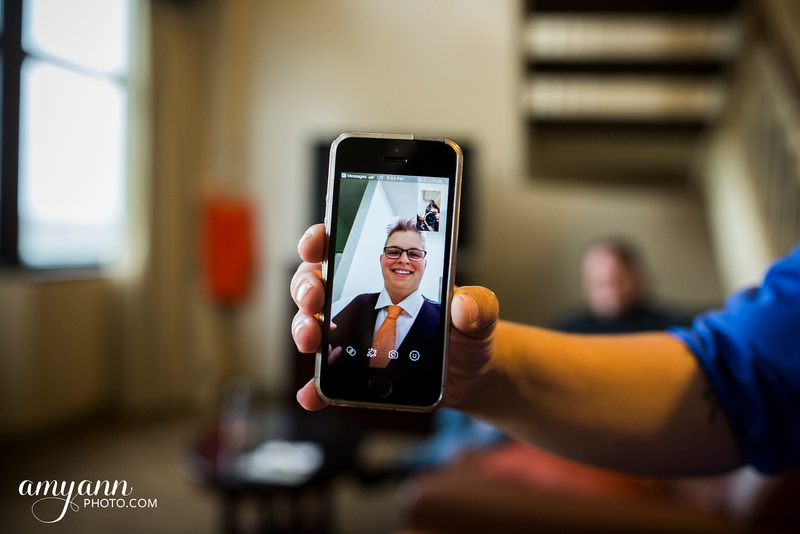 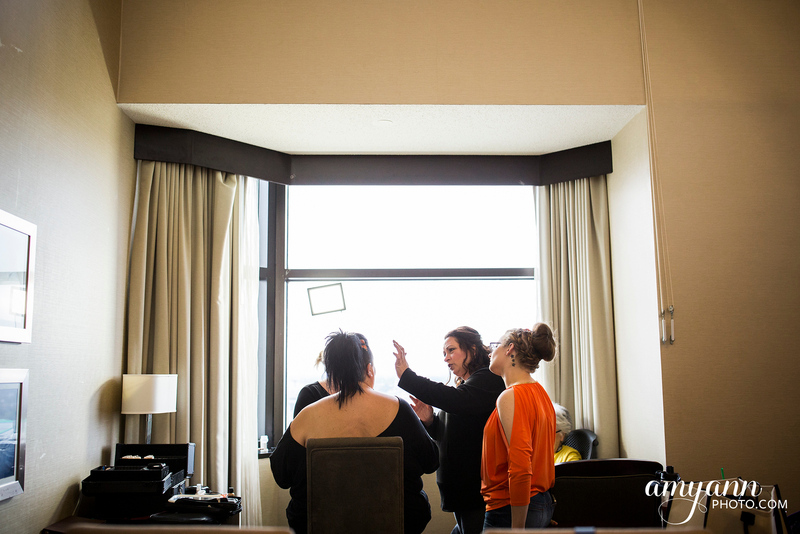 My assistant Chris joined me for the day, and we began separately – he with Crystal getting ready at Via Vecchia’s green room, and myself with Andrea at the DoubleTree Hotel on Front Street. 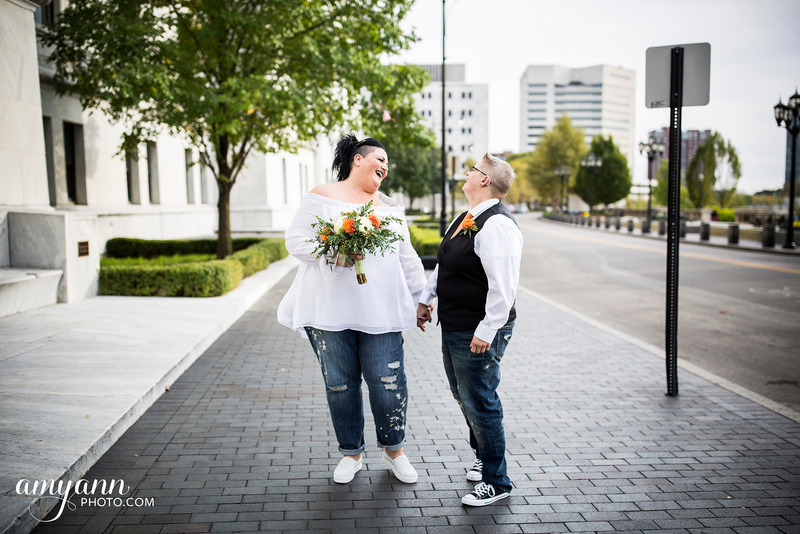 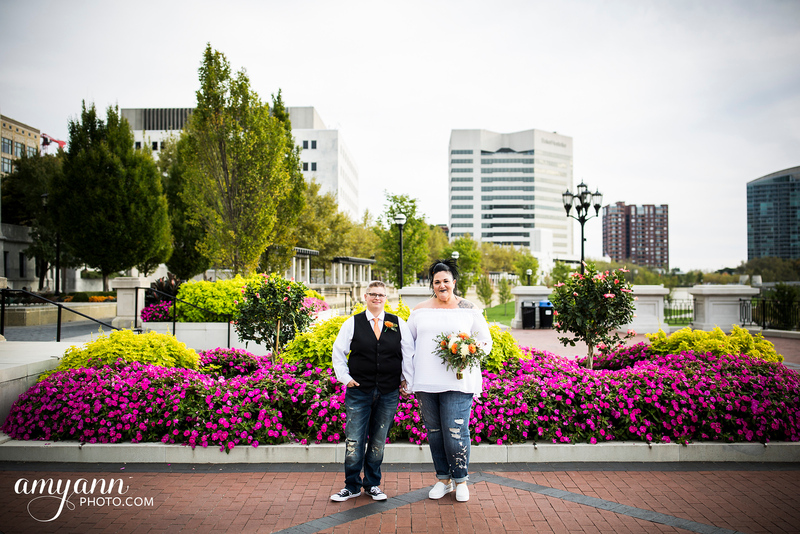 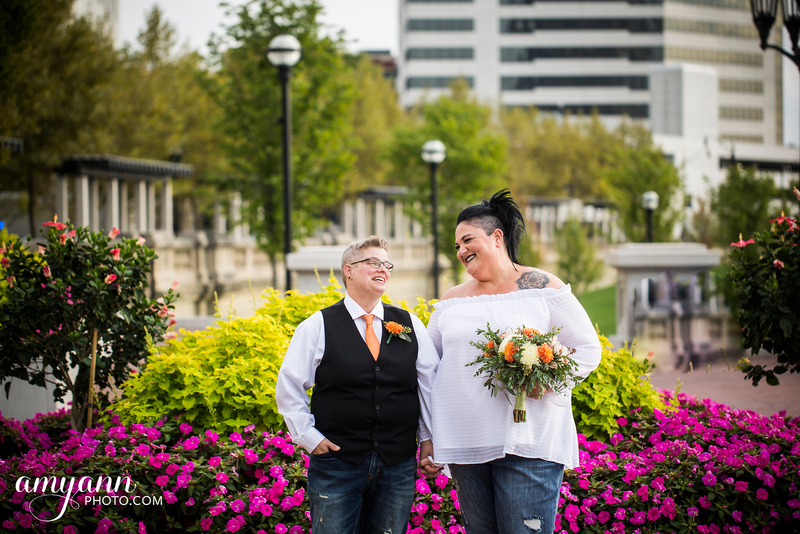 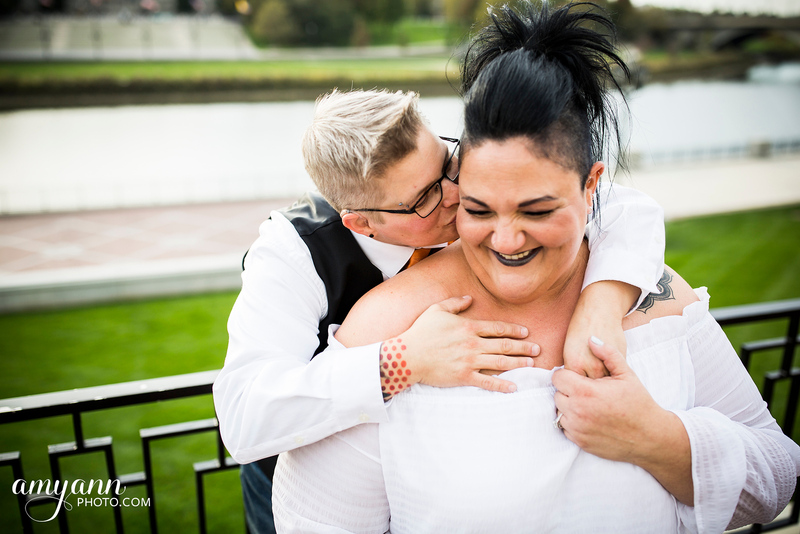 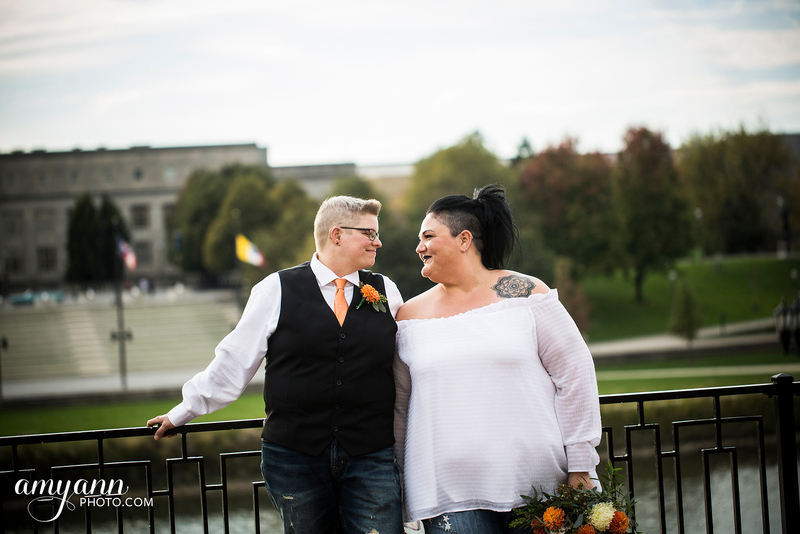 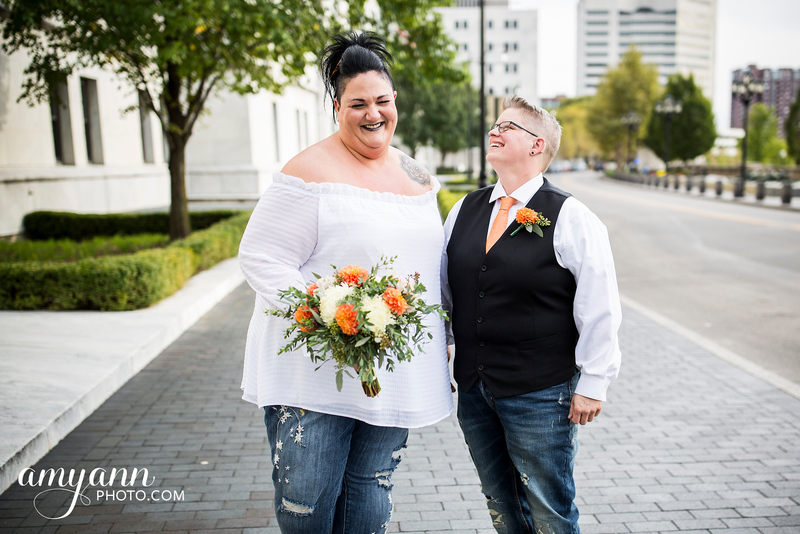 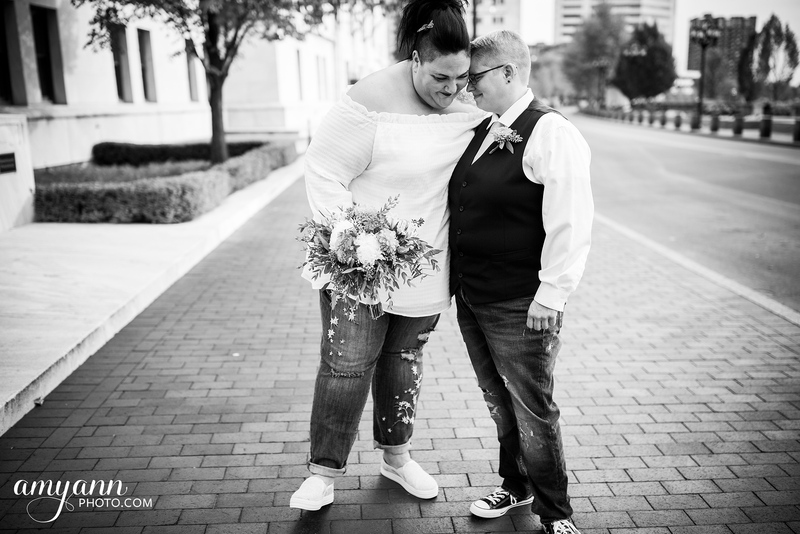 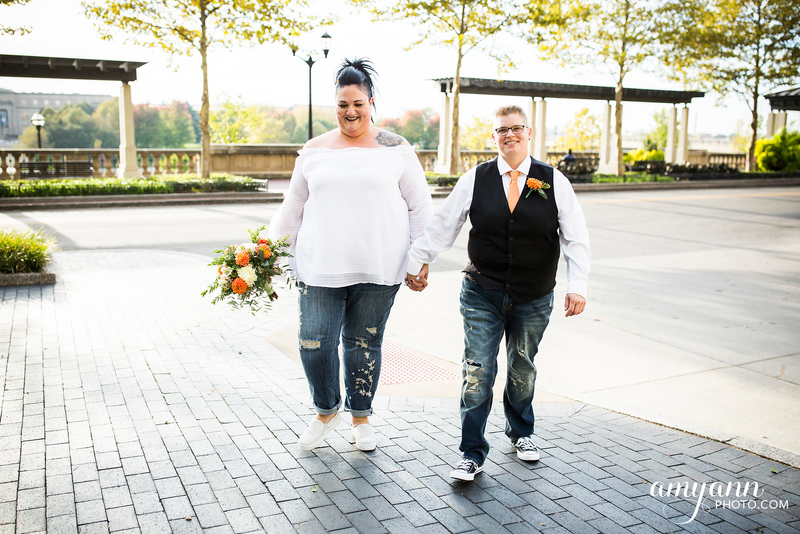 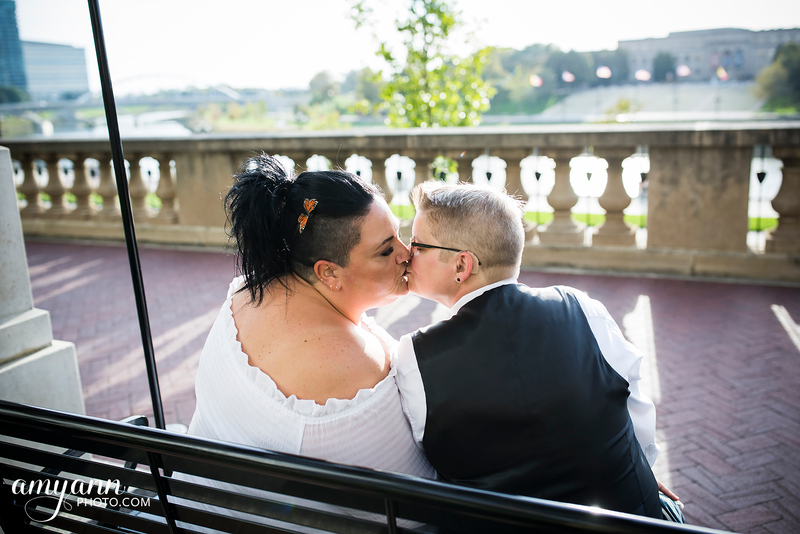 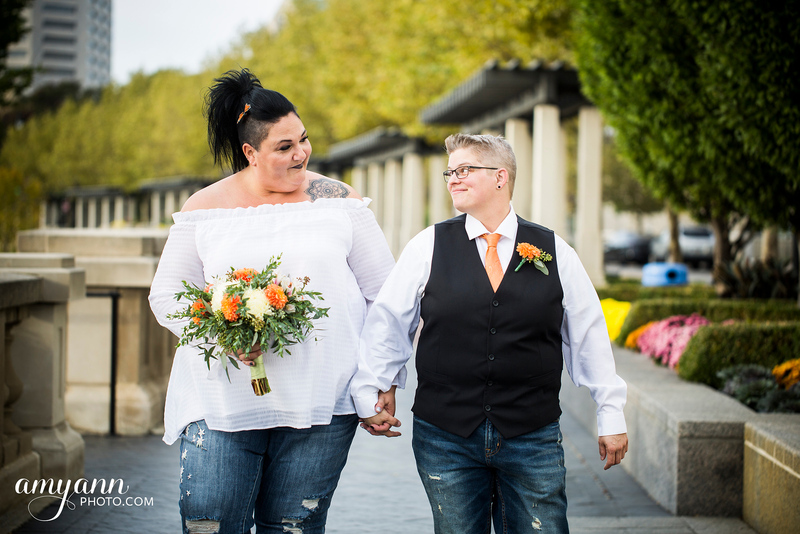 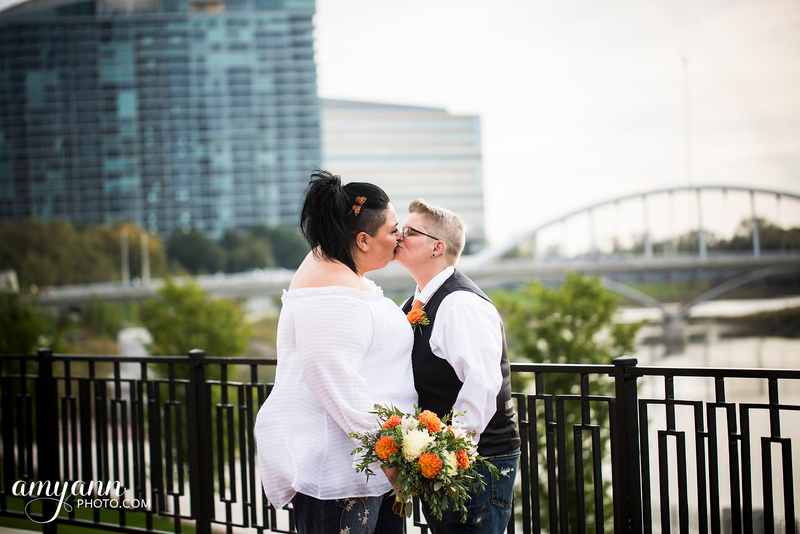 Once both brides were dressed, Crystal came to us and I staged their first look on the nearby Scioto Mile. 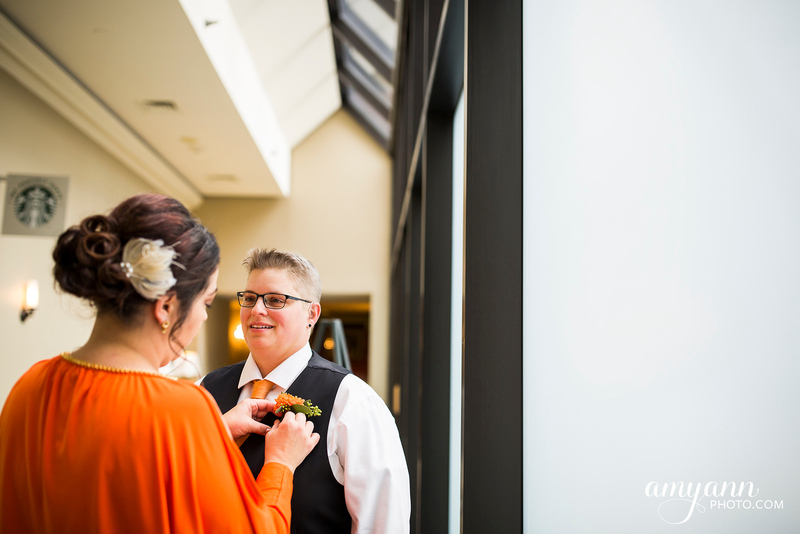 I just love their expressions when they first saw each other! 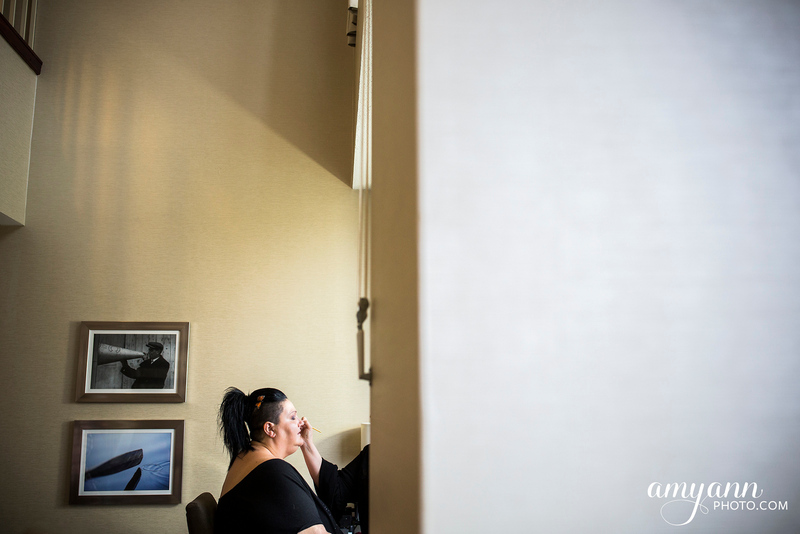 We continued with additional portraits there, and then headed to Via Vecchia for portraits with their wedding party before guests arrived. 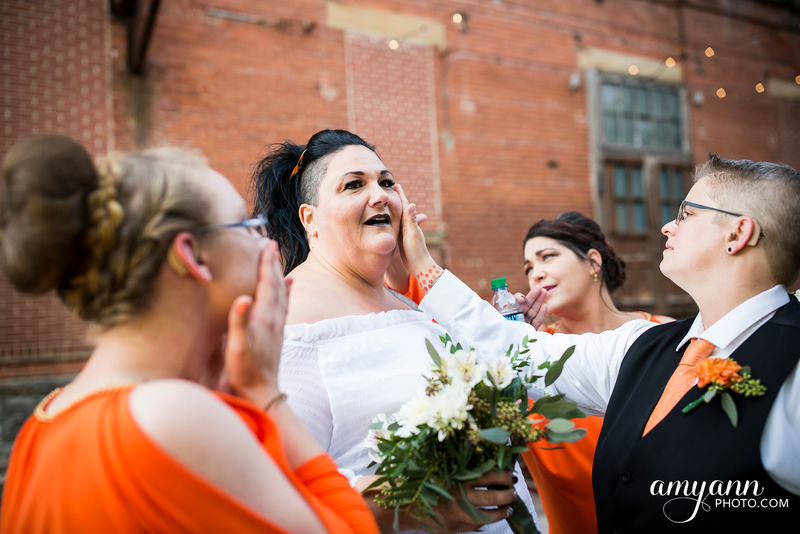 There was a special moment then: butterflies were a symbol of Crystal’s late mother, and found in different details throughout their wedding day. 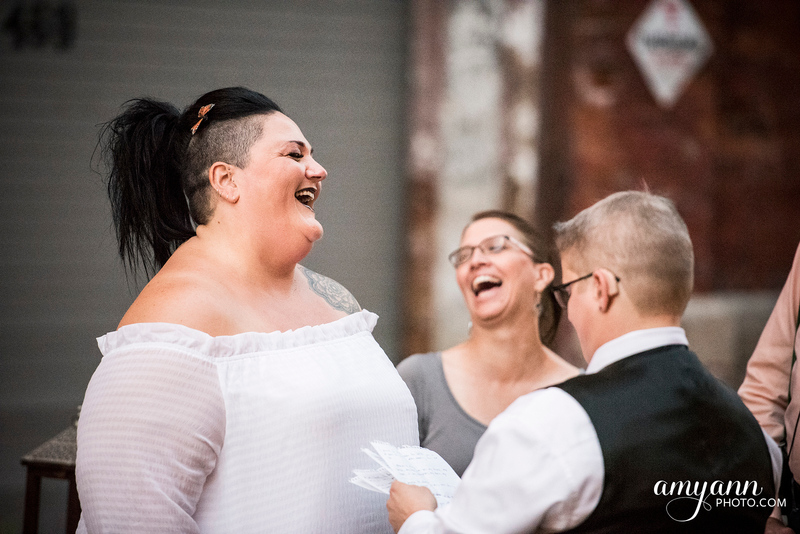 As we were finishing up portraits in the alley, a butterfly appeared, flying all around them and it moved the brides and their wedding party to tears. 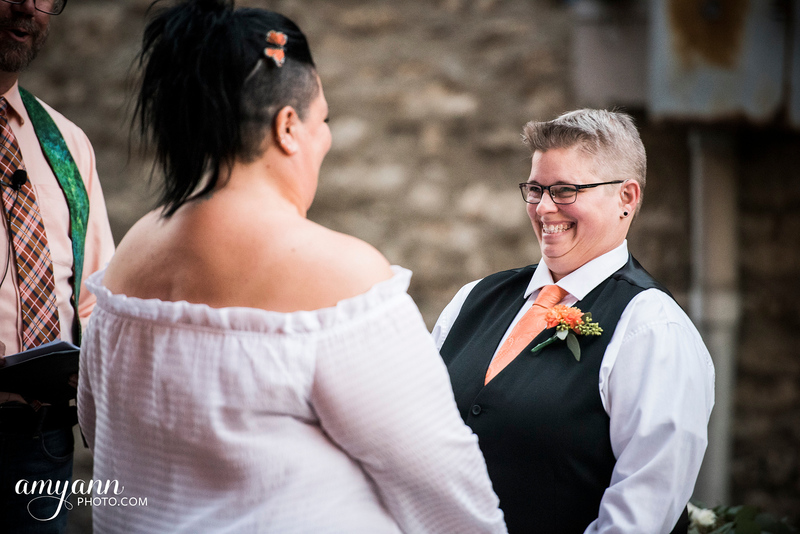 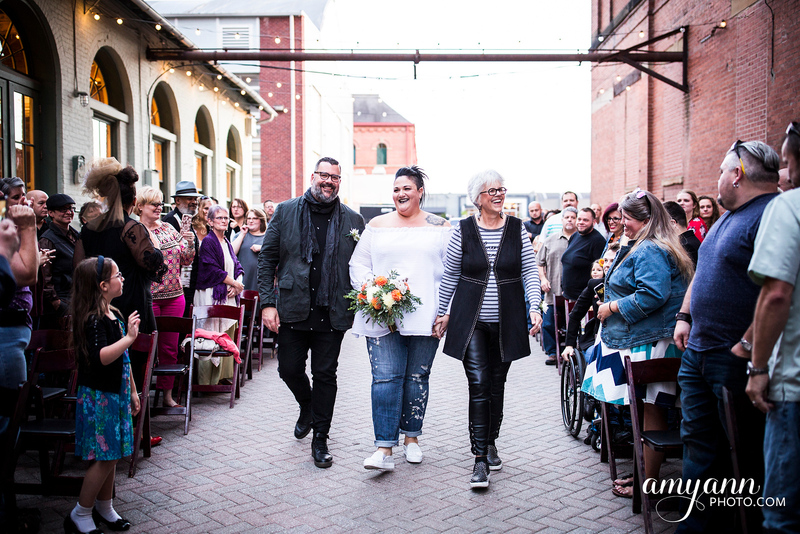 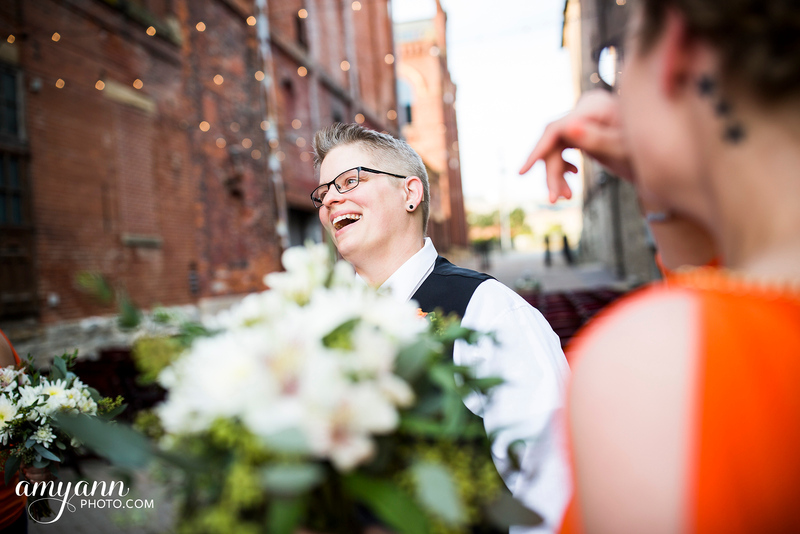 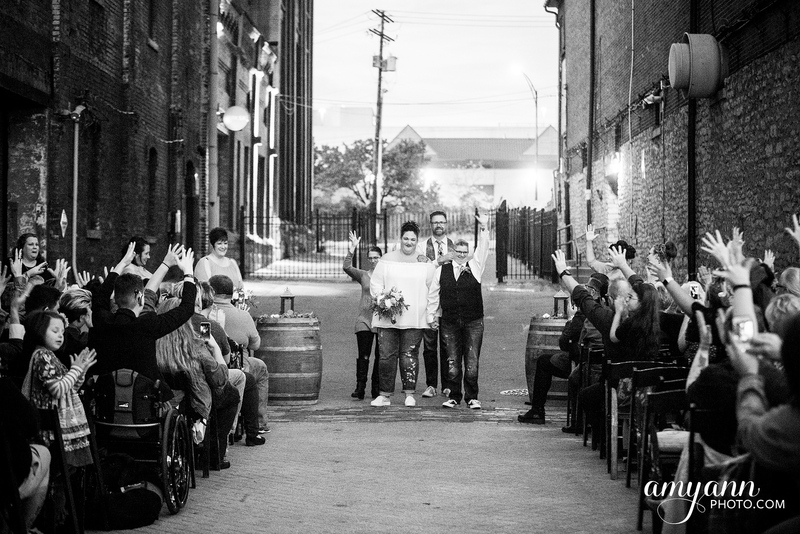 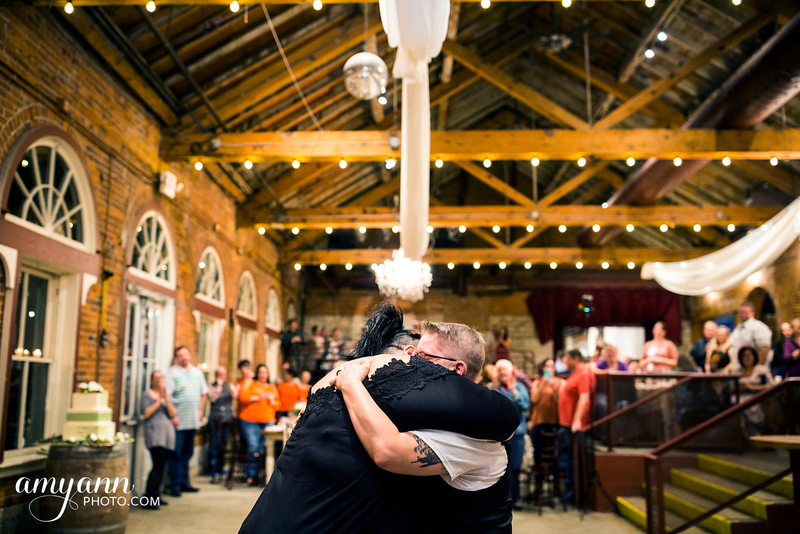 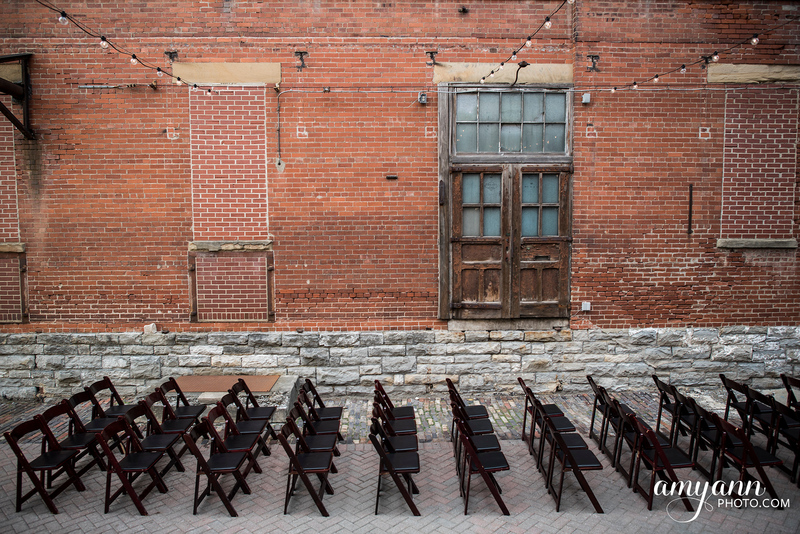 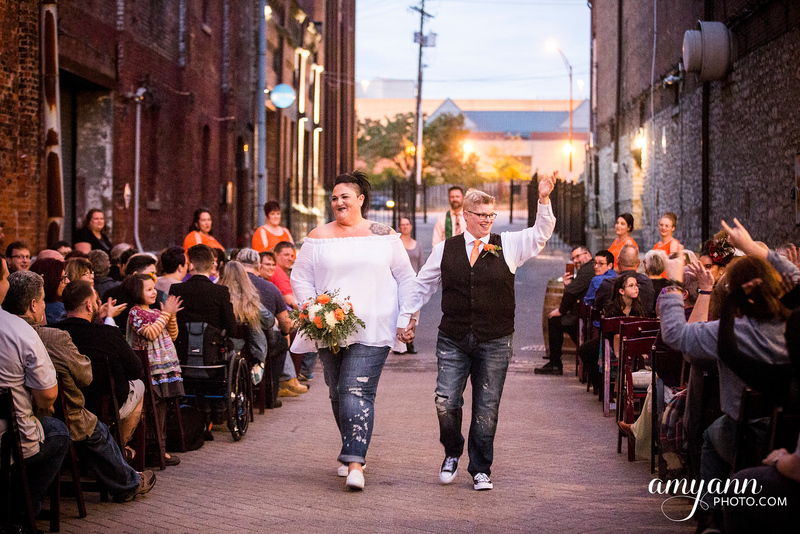 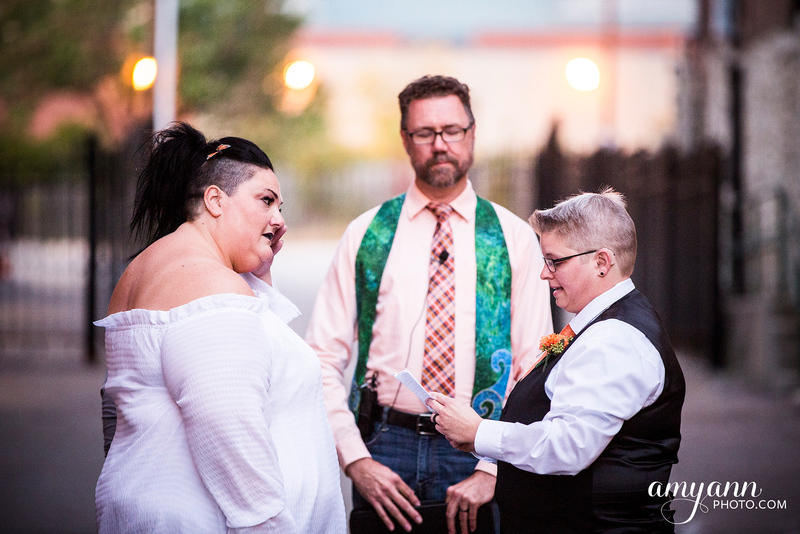 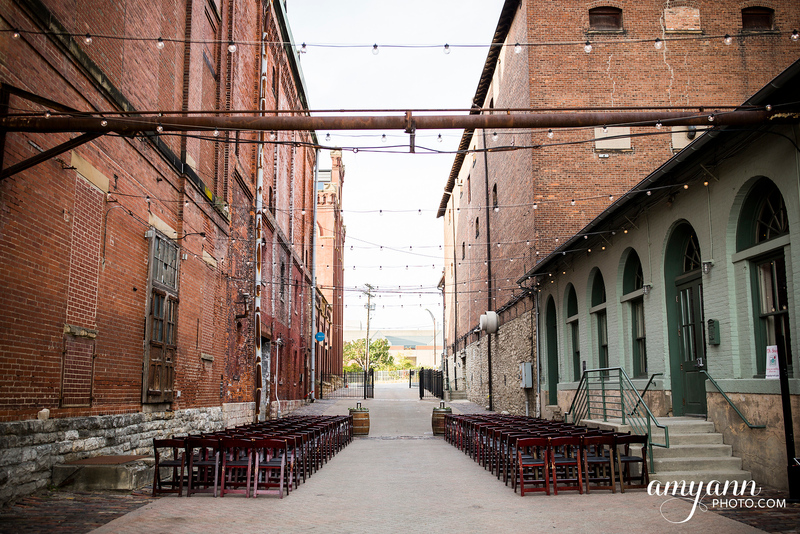 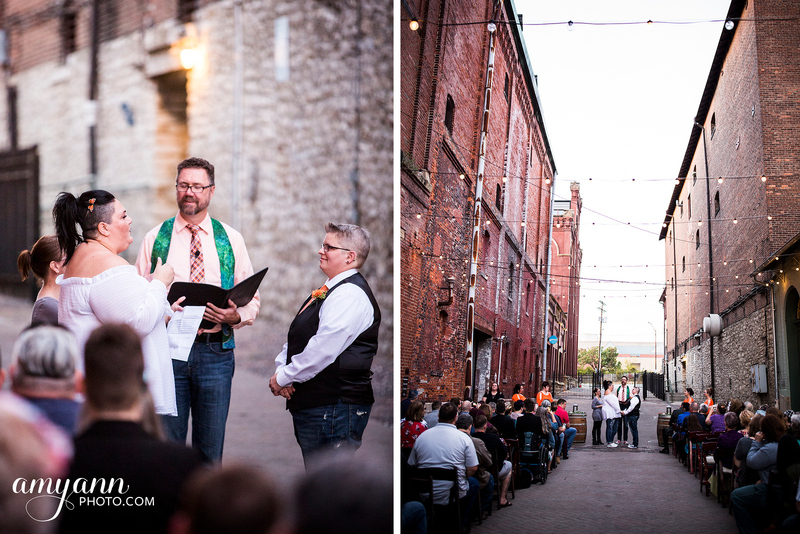 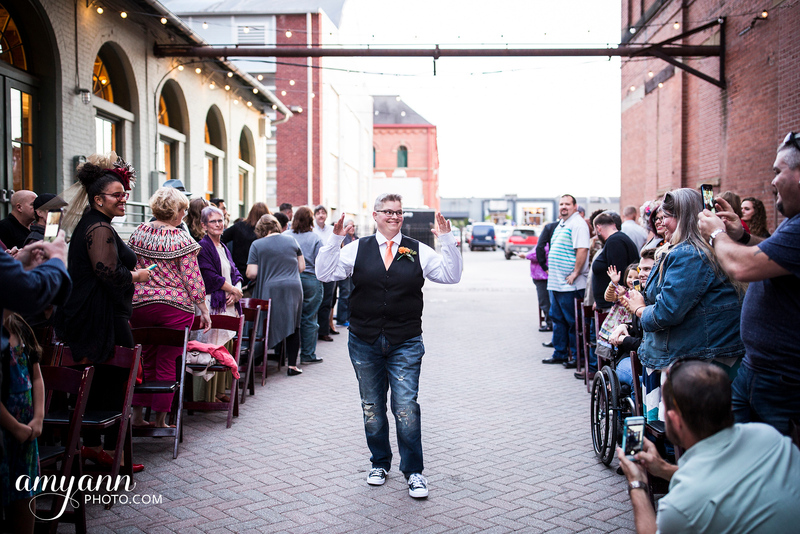 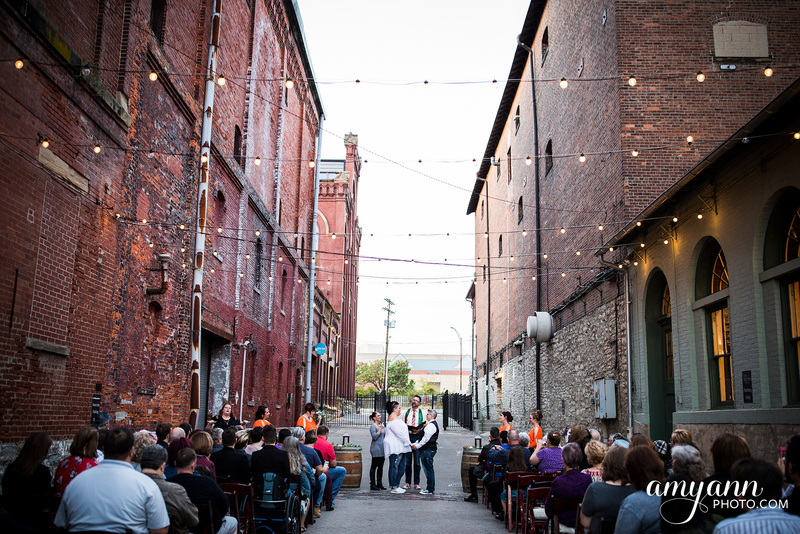 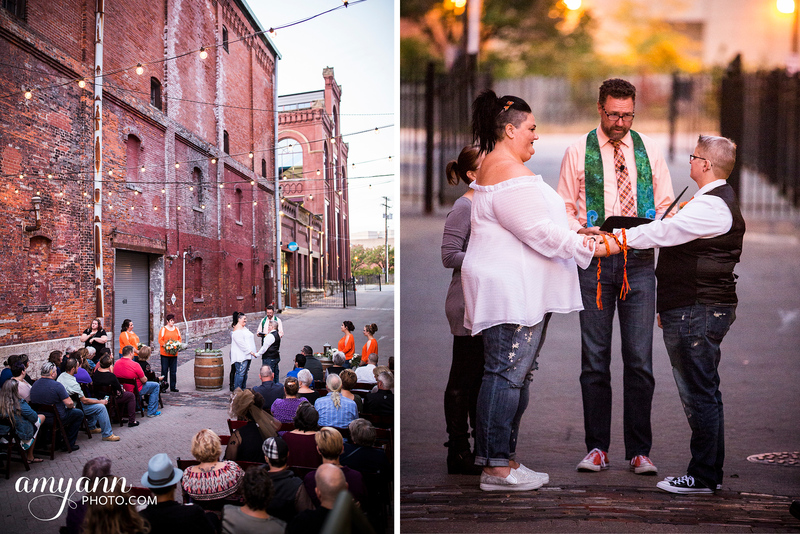 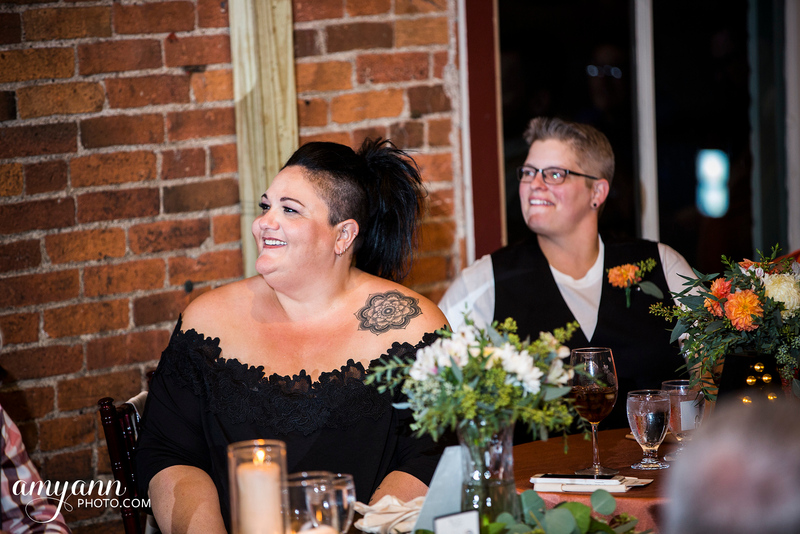 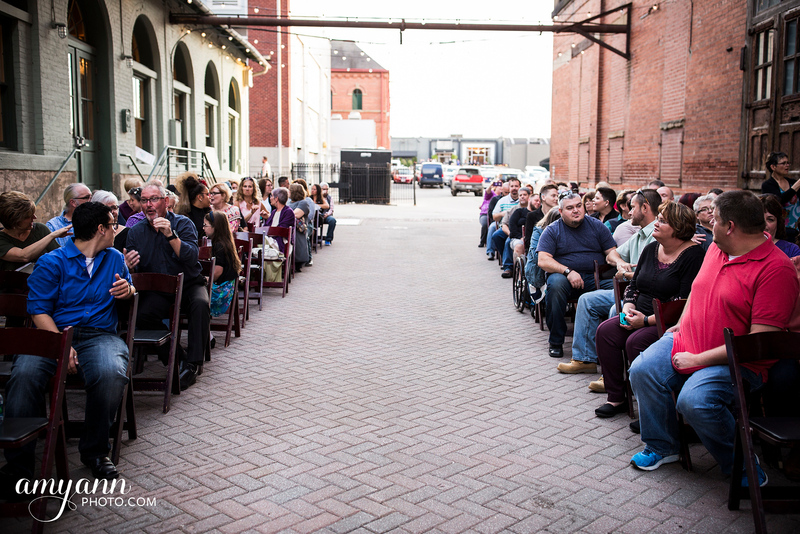 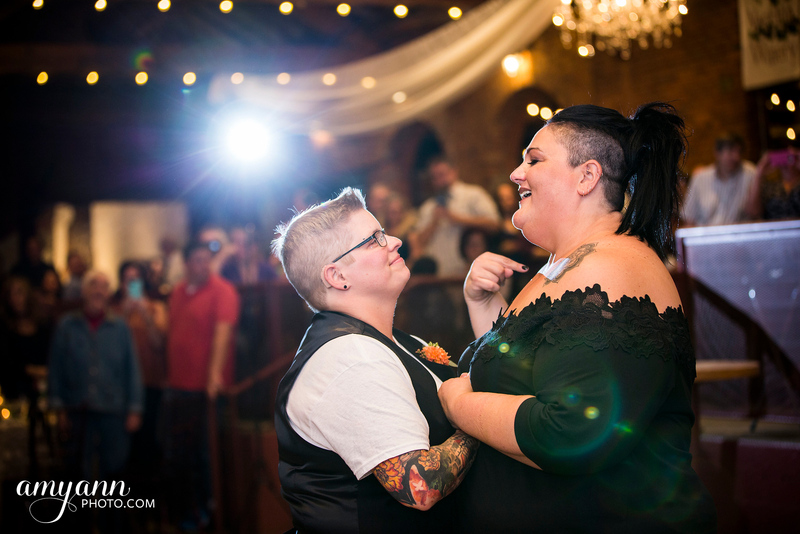 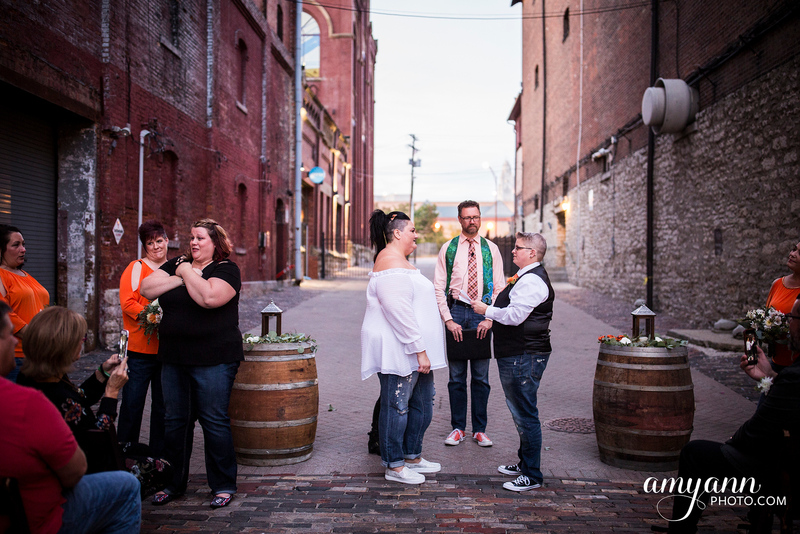 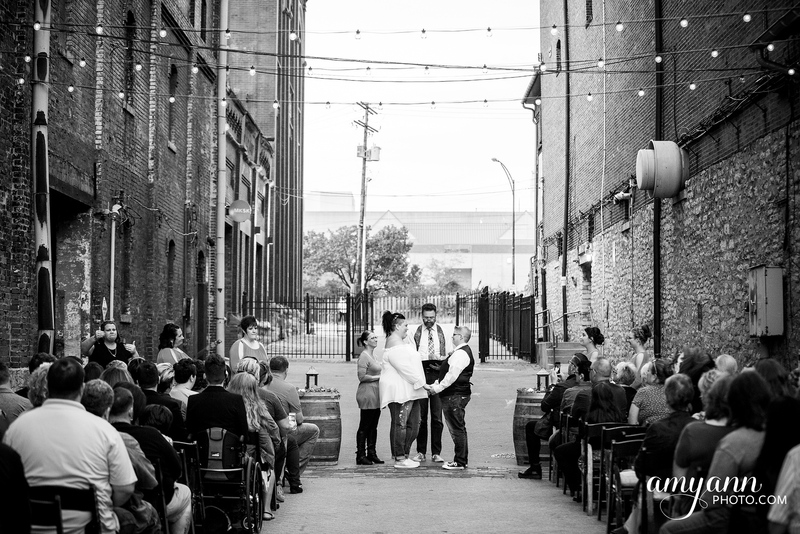 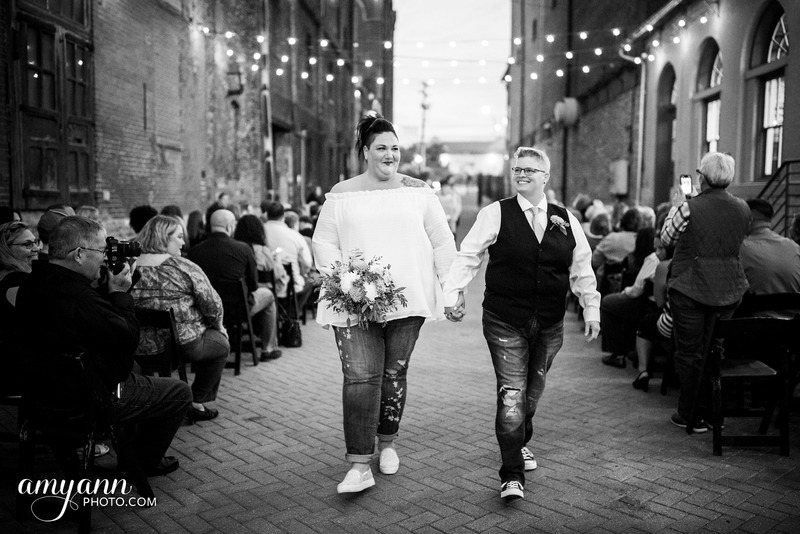 Their early evening ceremony in the venue’s brick alley began just before sunset, and as it darkened the twinkle of the hanging lights emerged and it was such a warm, beautiful setting. 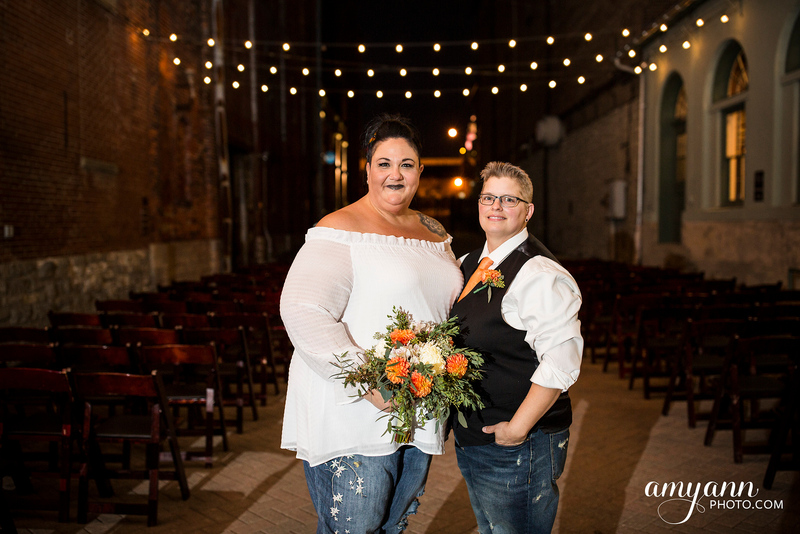 (Luckily my cameras have great low-light capability so I could capture the true moody look without using artificial lighting!) 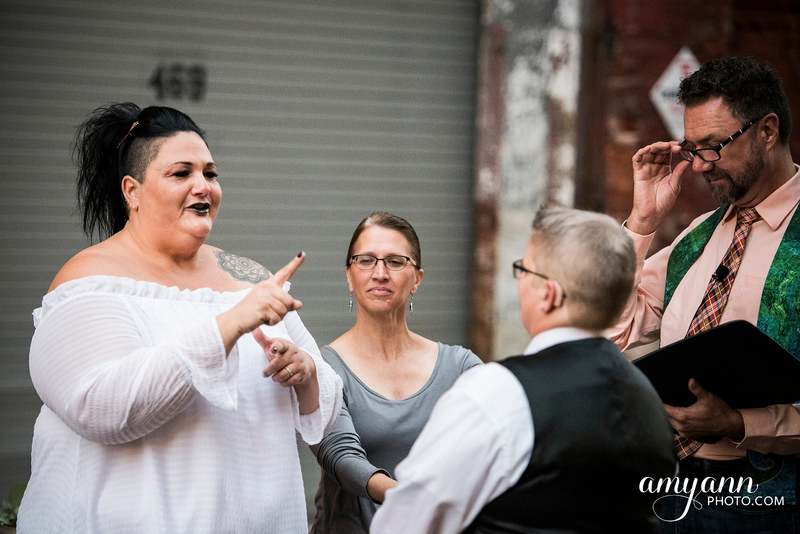 Crystal is Deaf, as were many of their guests, so they had interpreters standing with them alongside their wedding party. 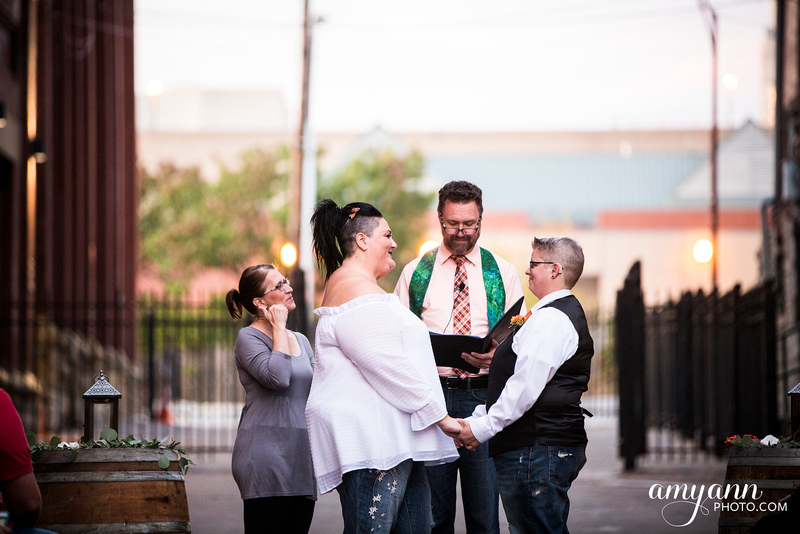 One of my favorite moments was when Andrea signed her vows to Crystal. 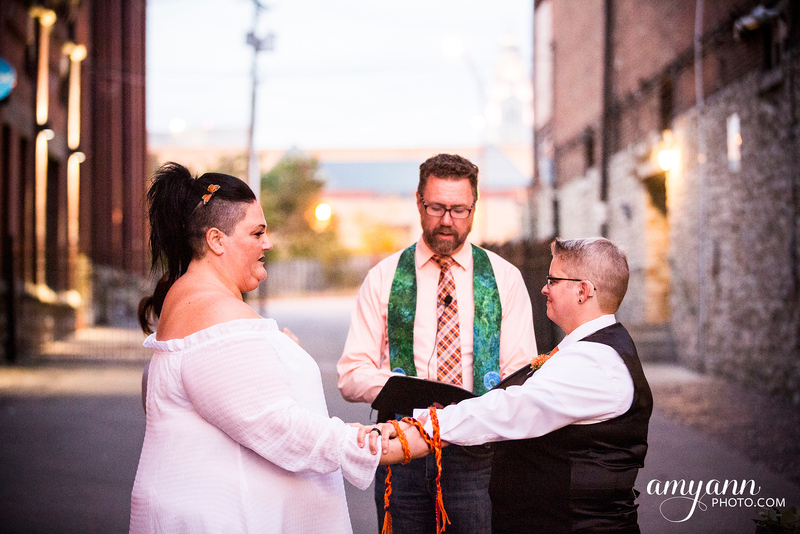 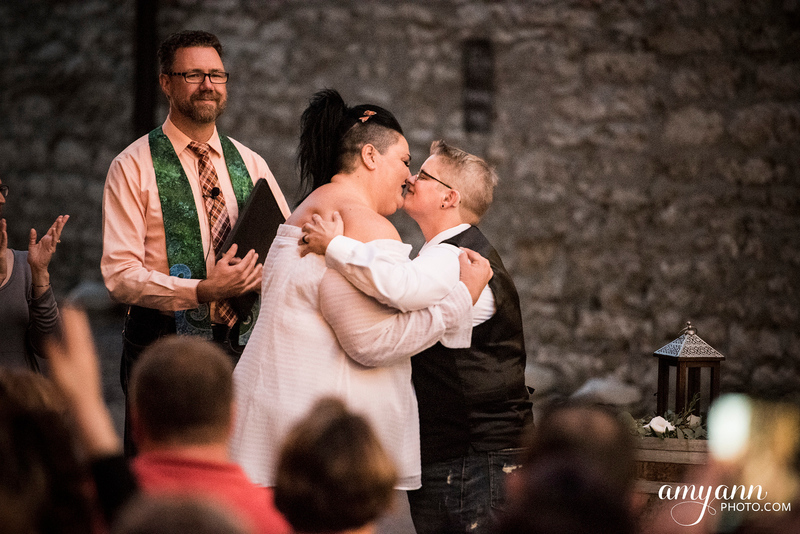 Their ceremony culminated with a handfasting ritual! 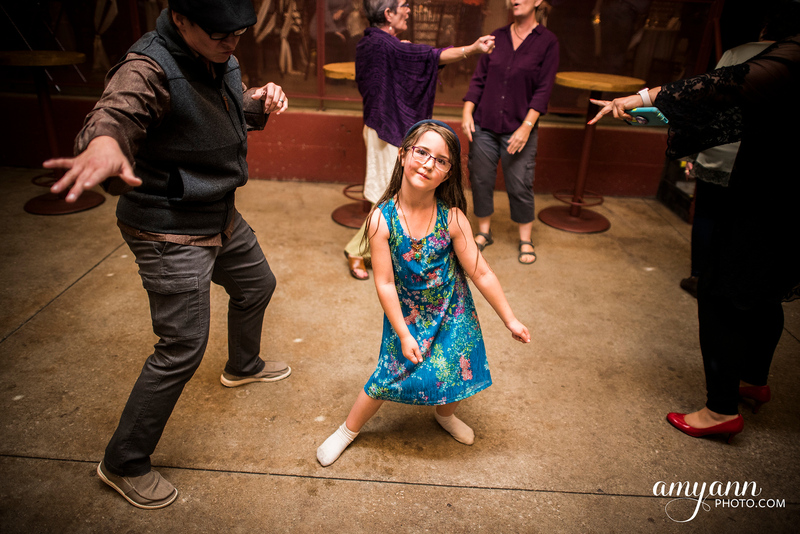 Afterwards, it was time to party! 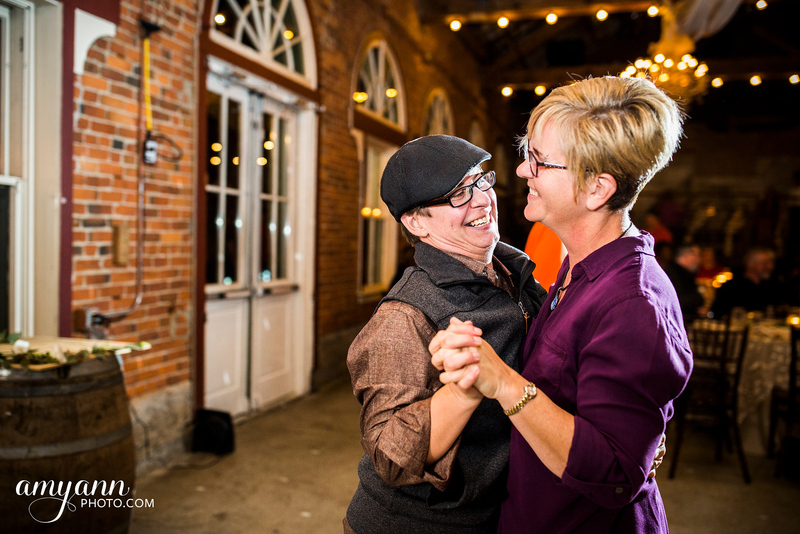 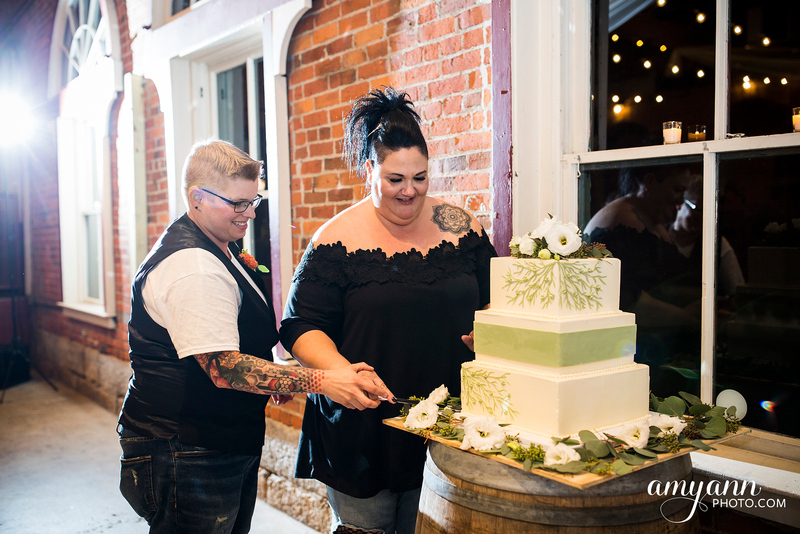 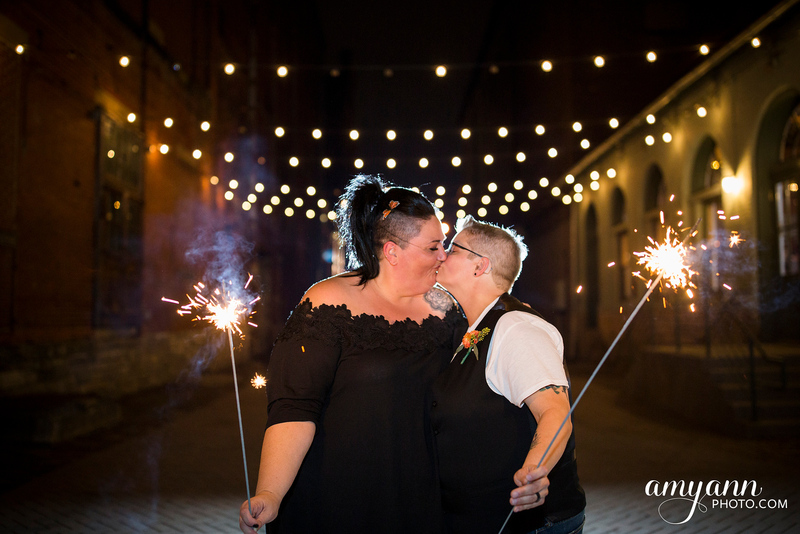 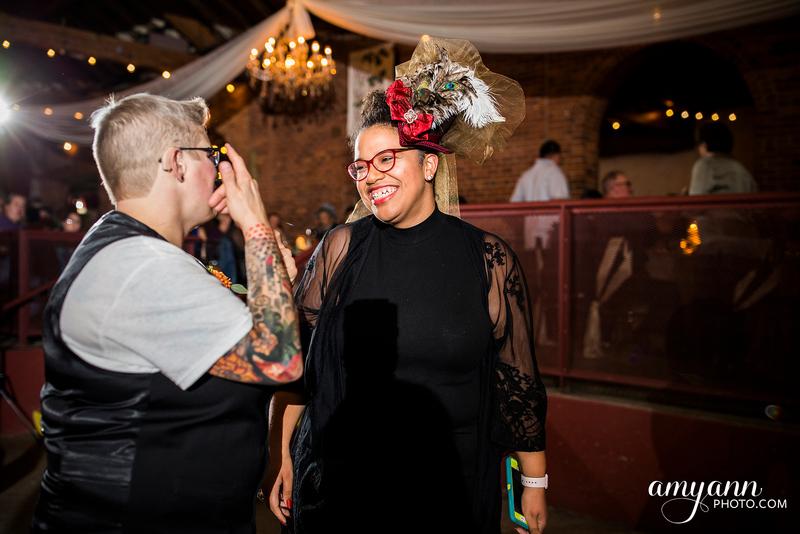 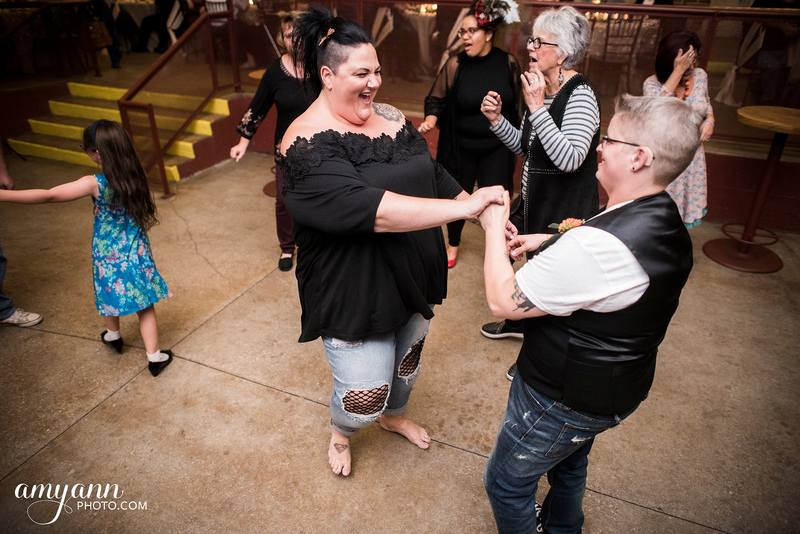 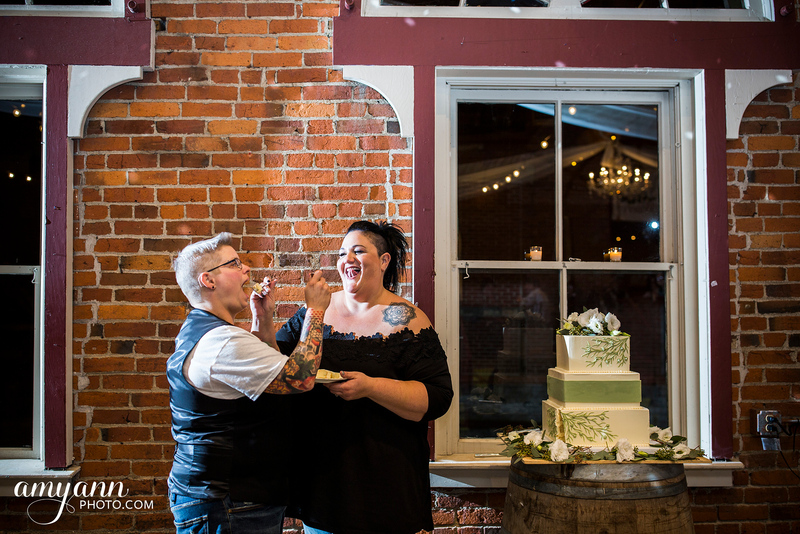 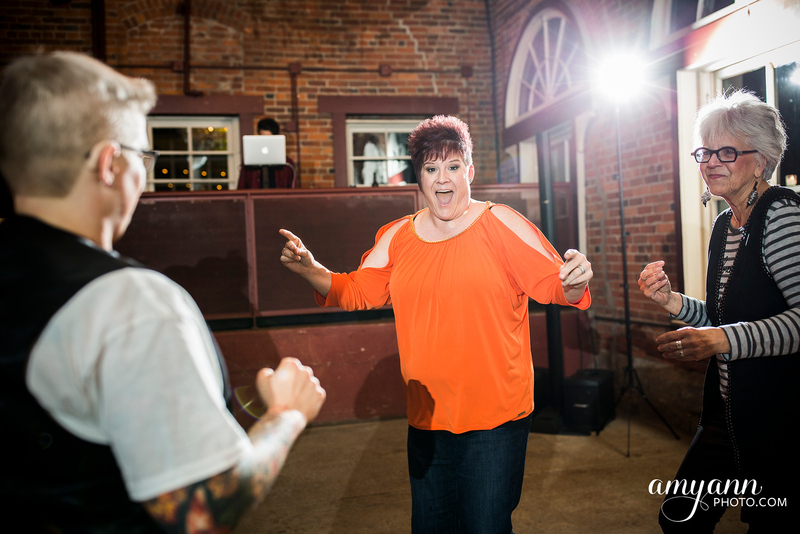 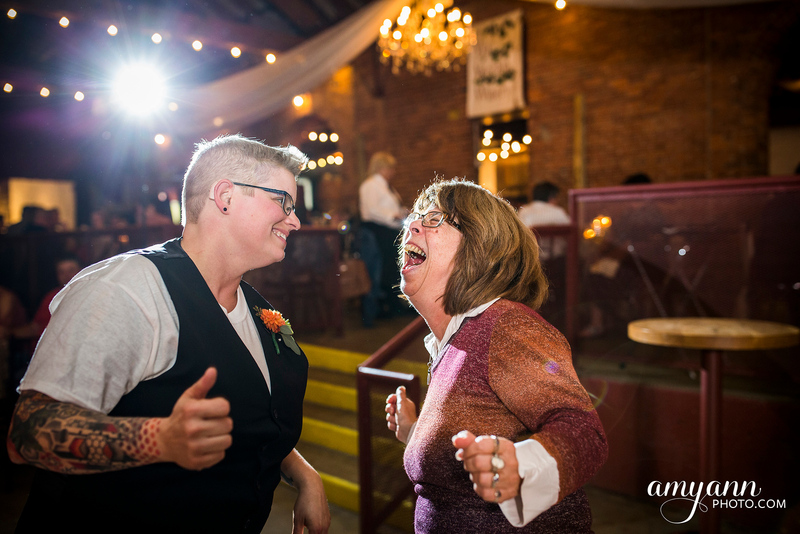 After a quick outfit change, the brides kicked off their reception with a first dance, toasts and cake cutting, and then danced the night away, capping it off with some sweet night shots out in the alley. 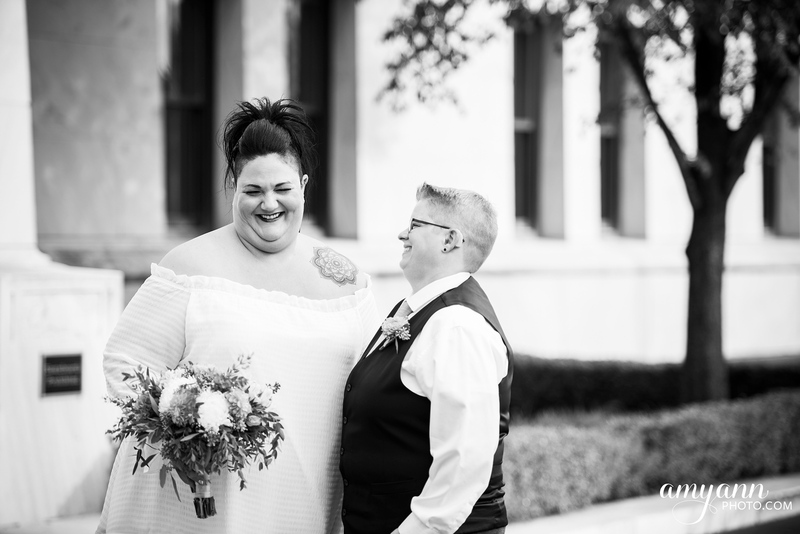 They had their wedding exactly the way *they* wanted to, and I loved it! 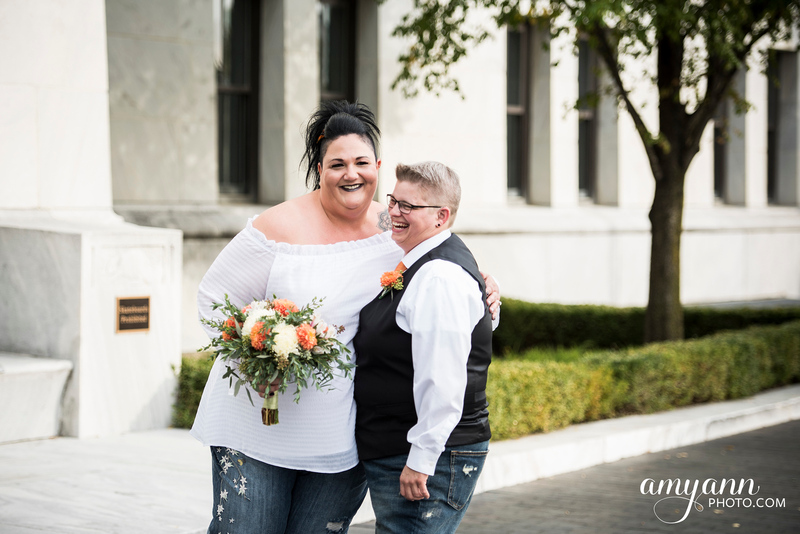 Congratulations to Andrea and Crystal!